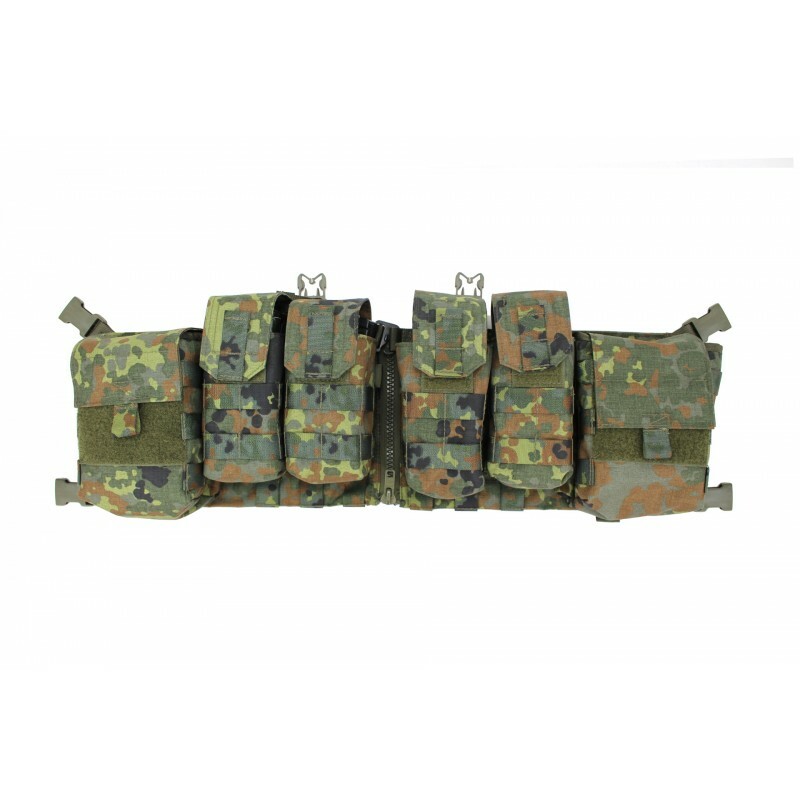 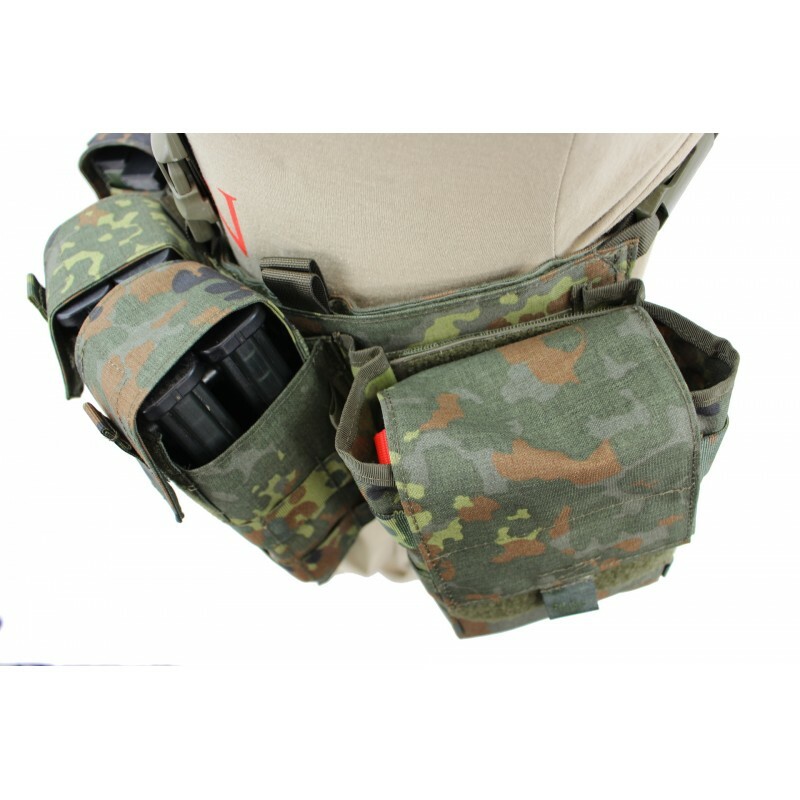 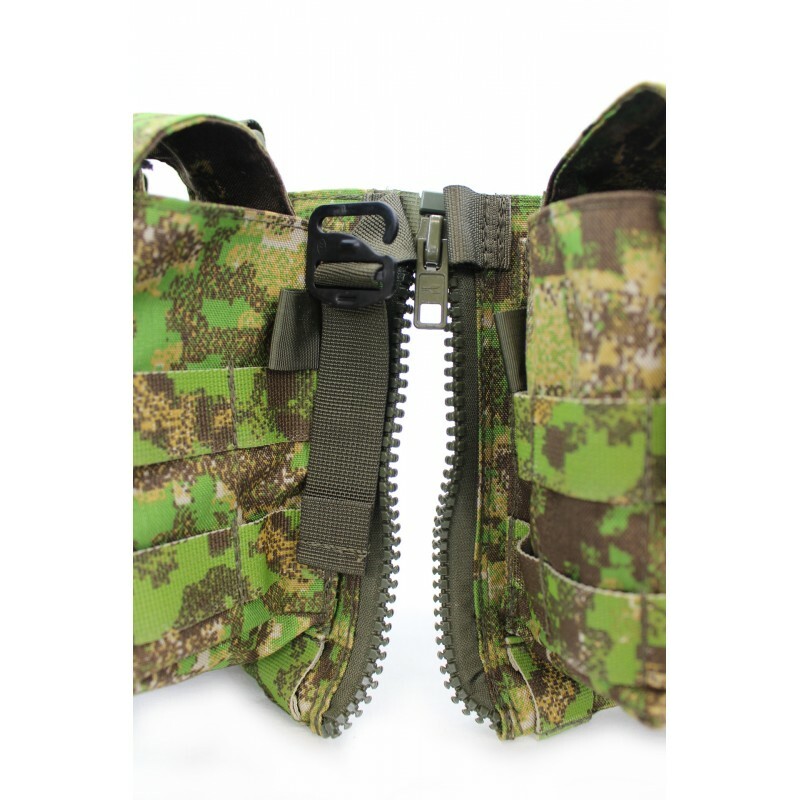 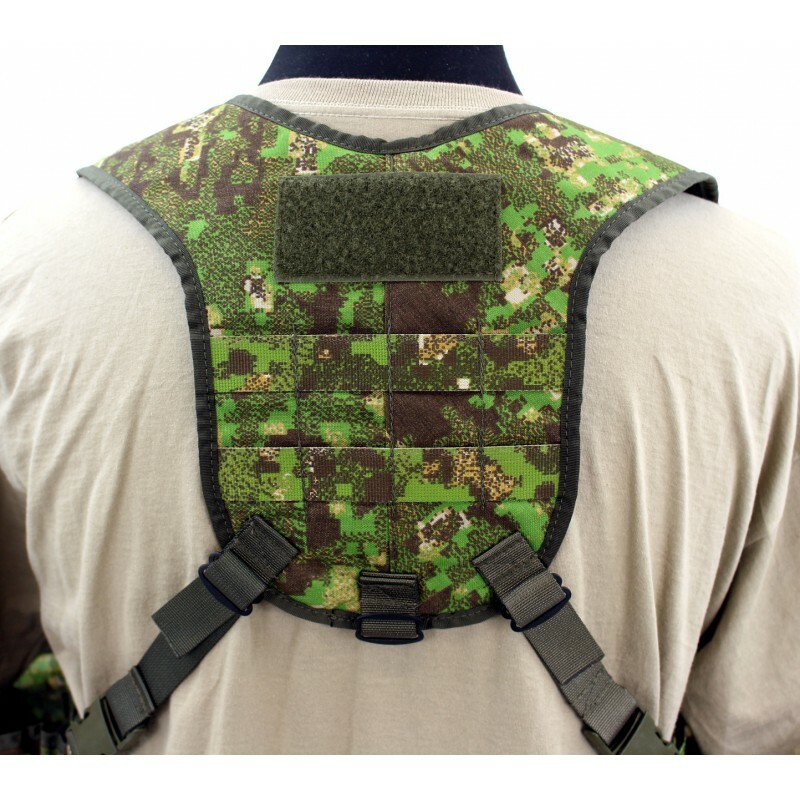 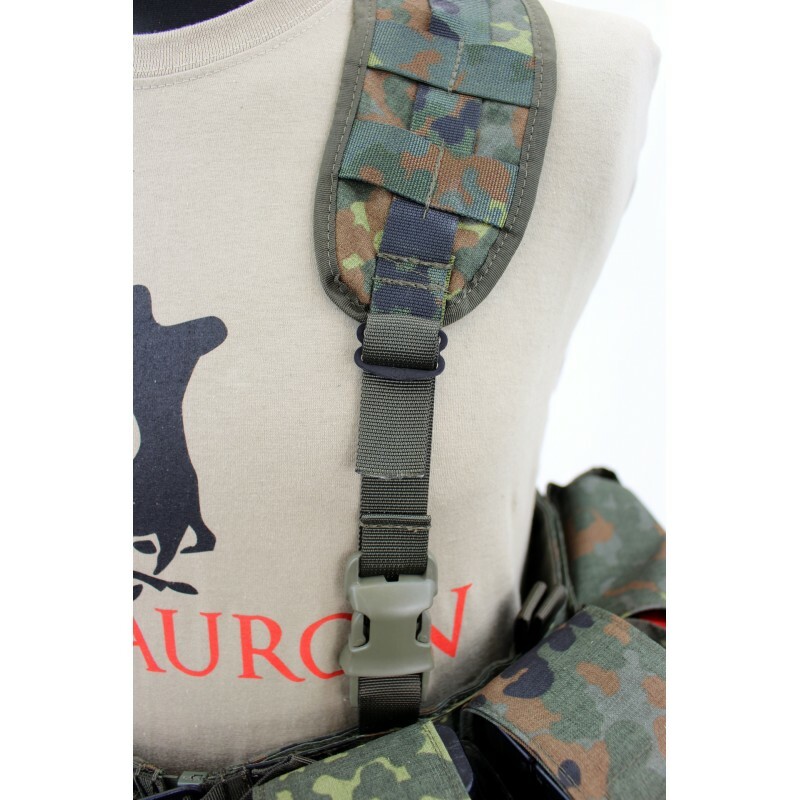 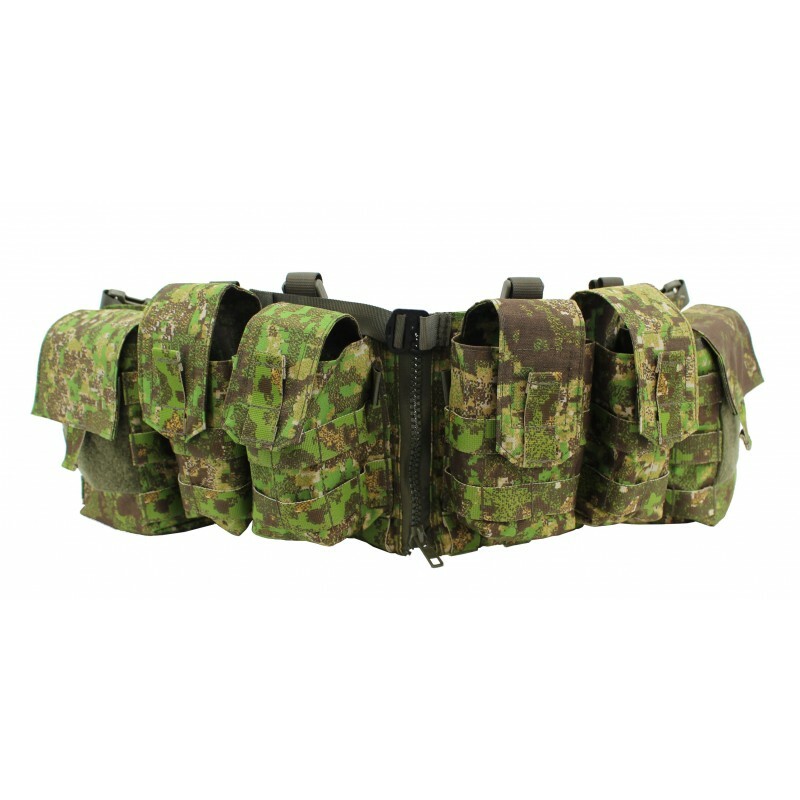 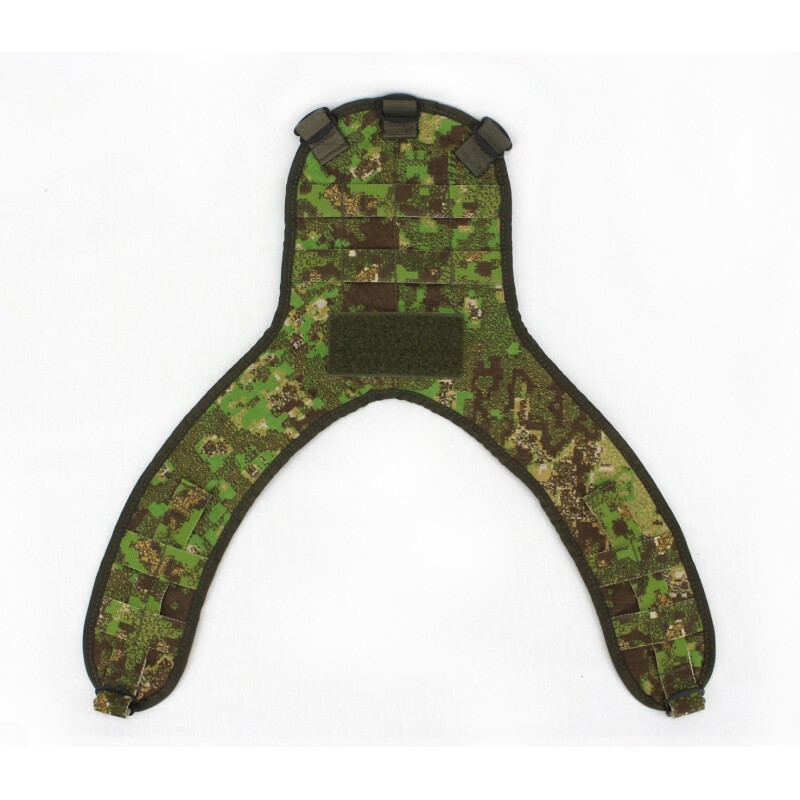 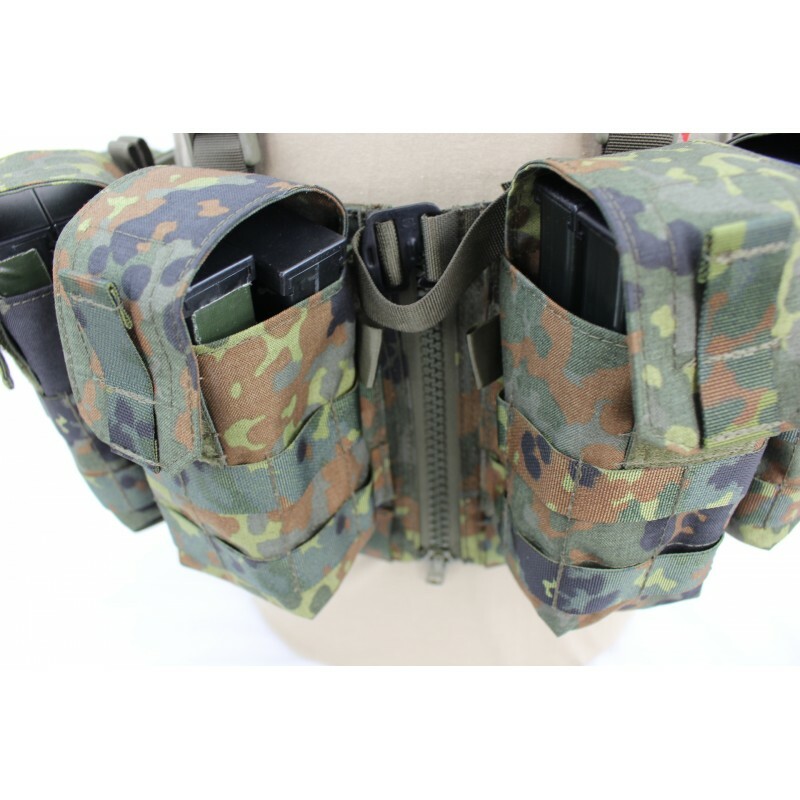 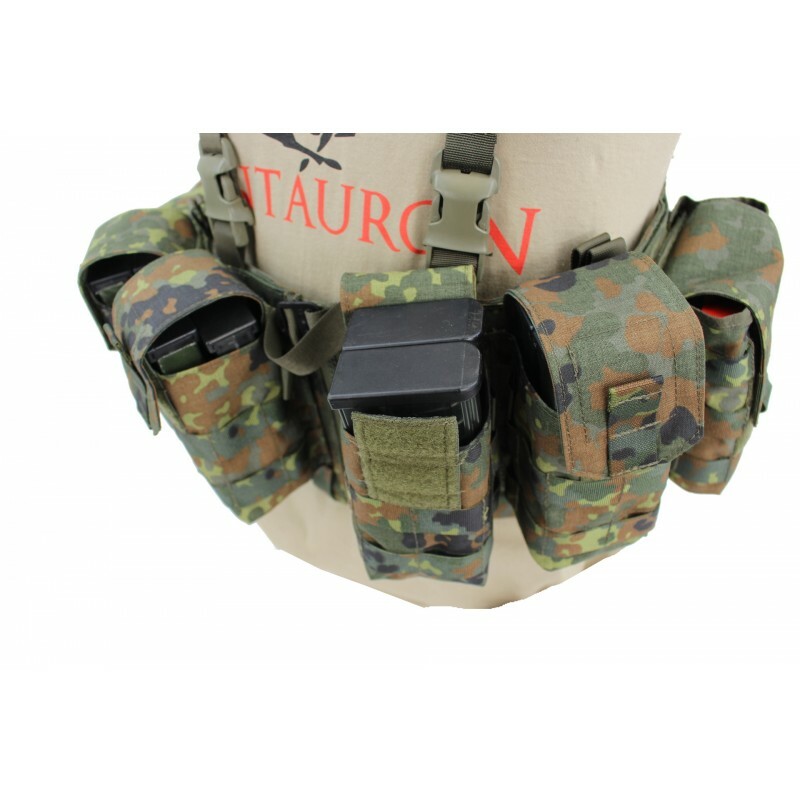 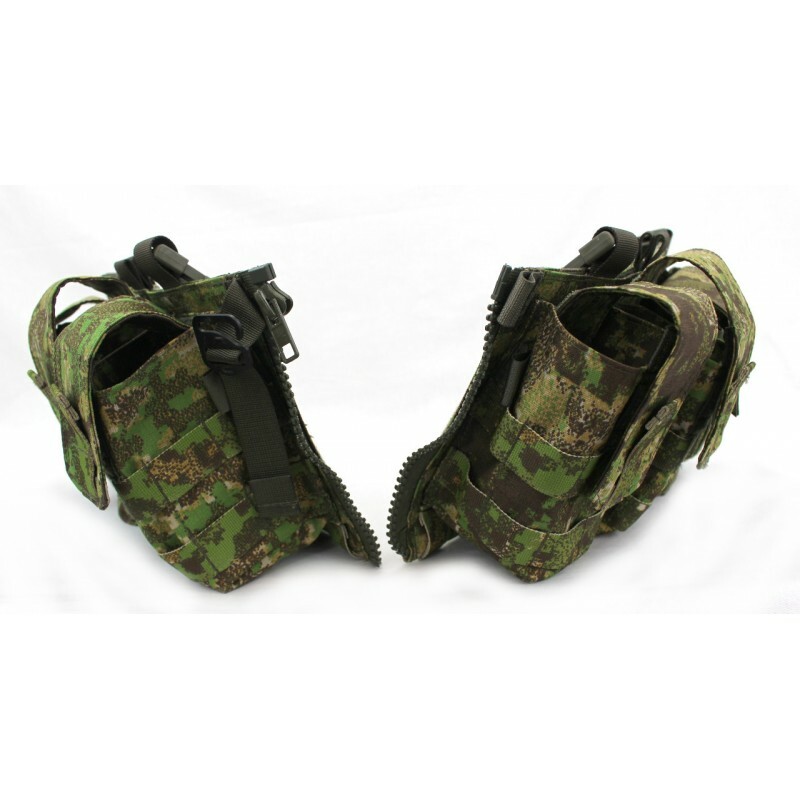 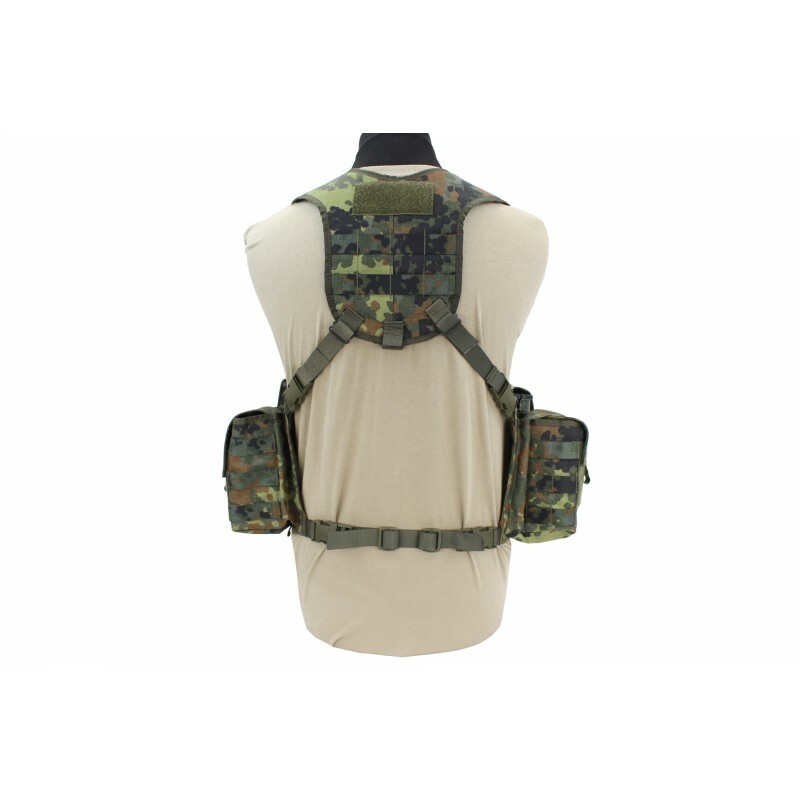 According to specifications of long-range recon troopers and forward air controllers of the german Bundeswehr, we have developed and built the Nonmodular Split Front Chest Rig. 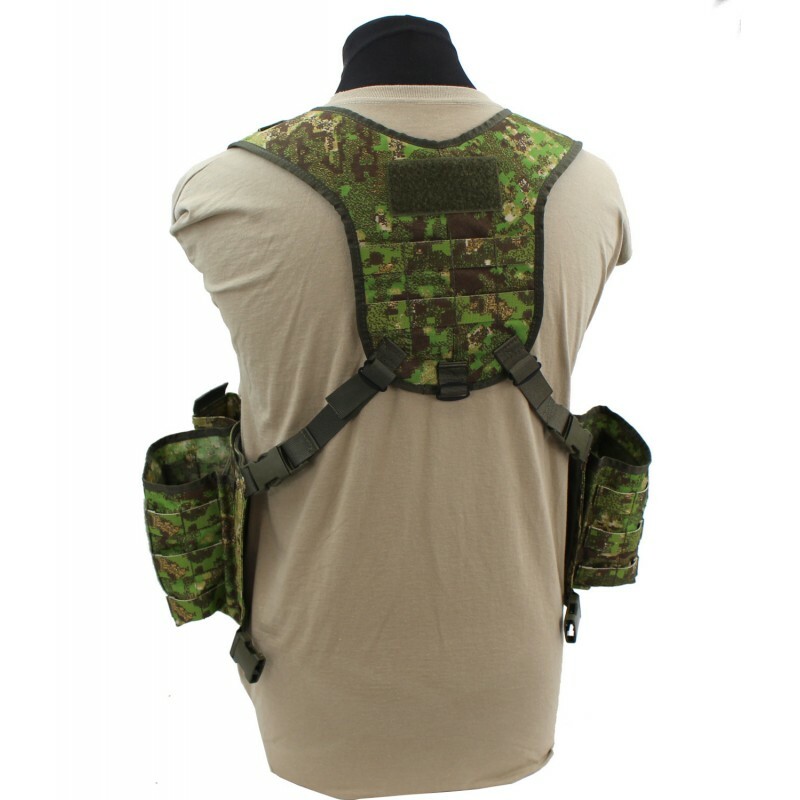 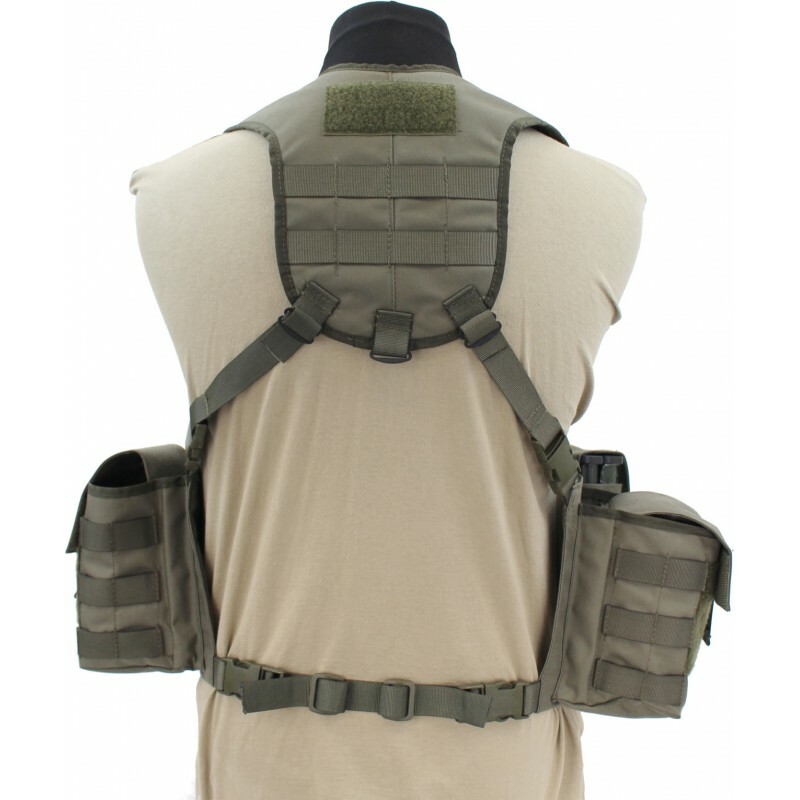 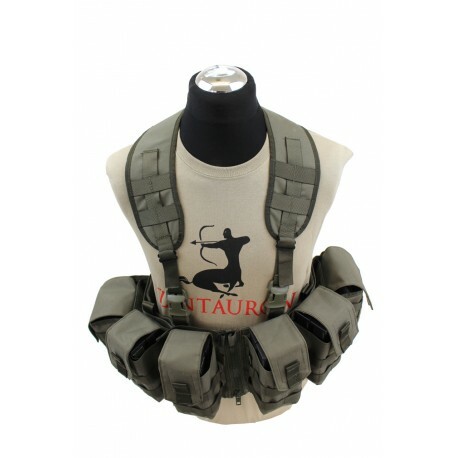 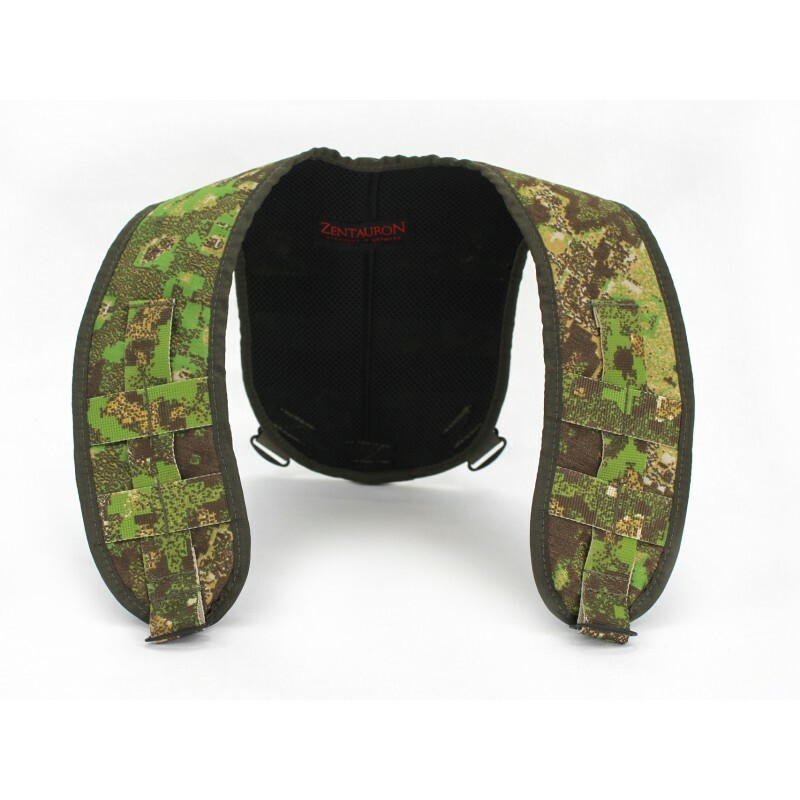 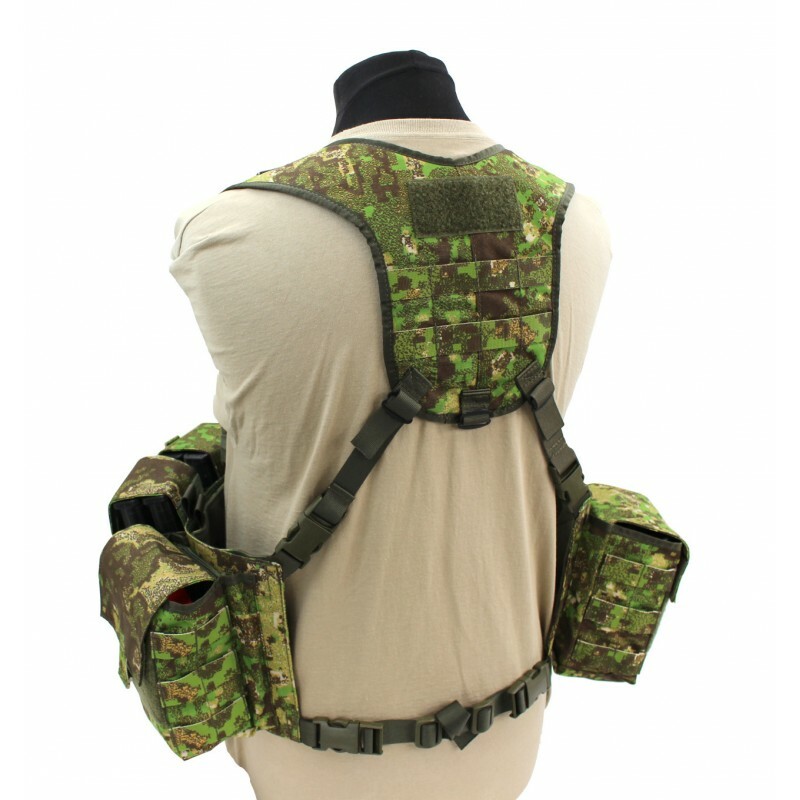 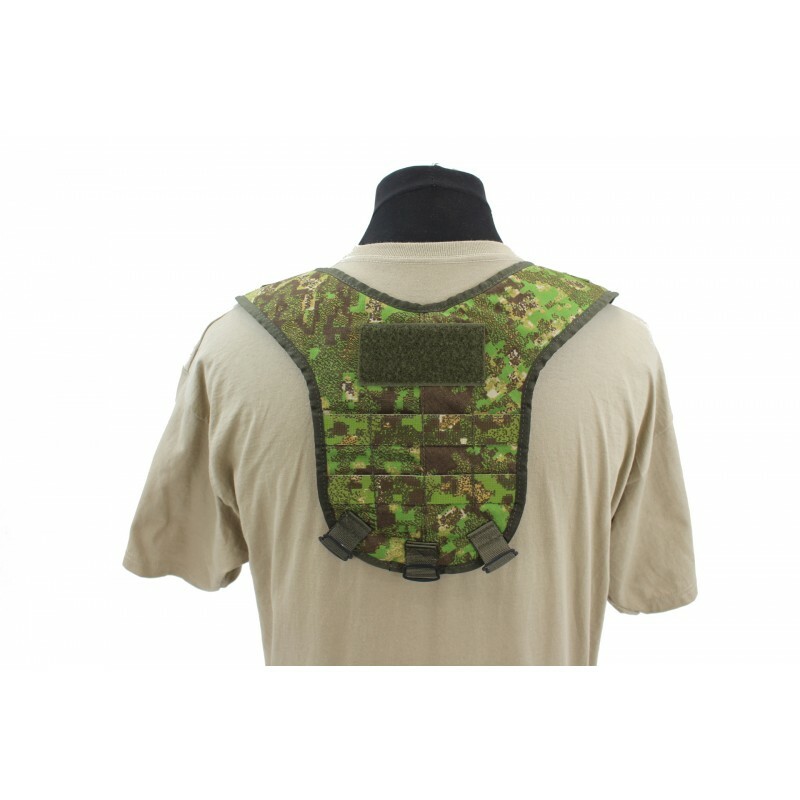 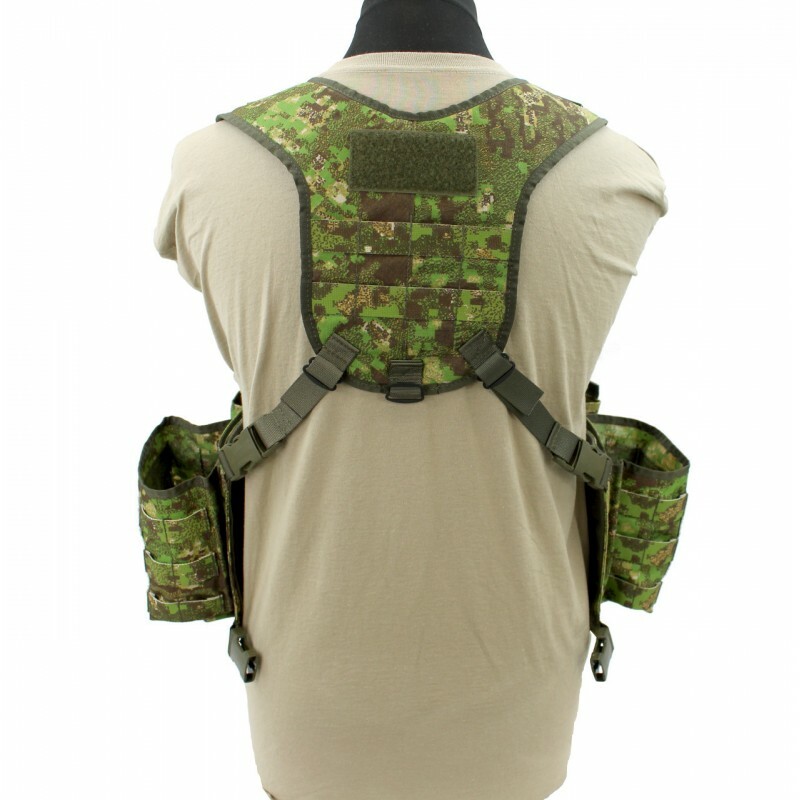 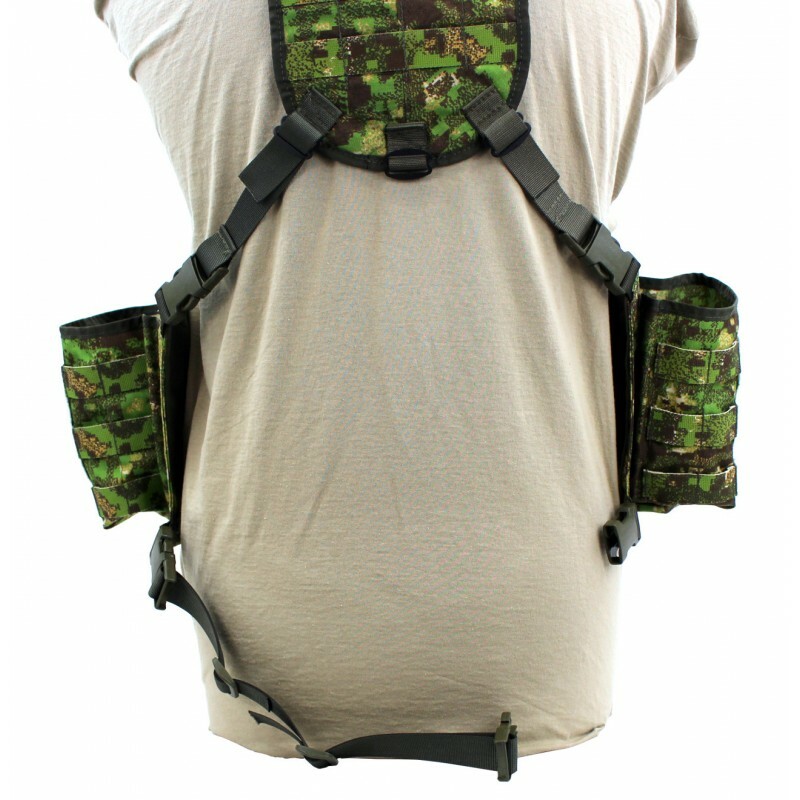 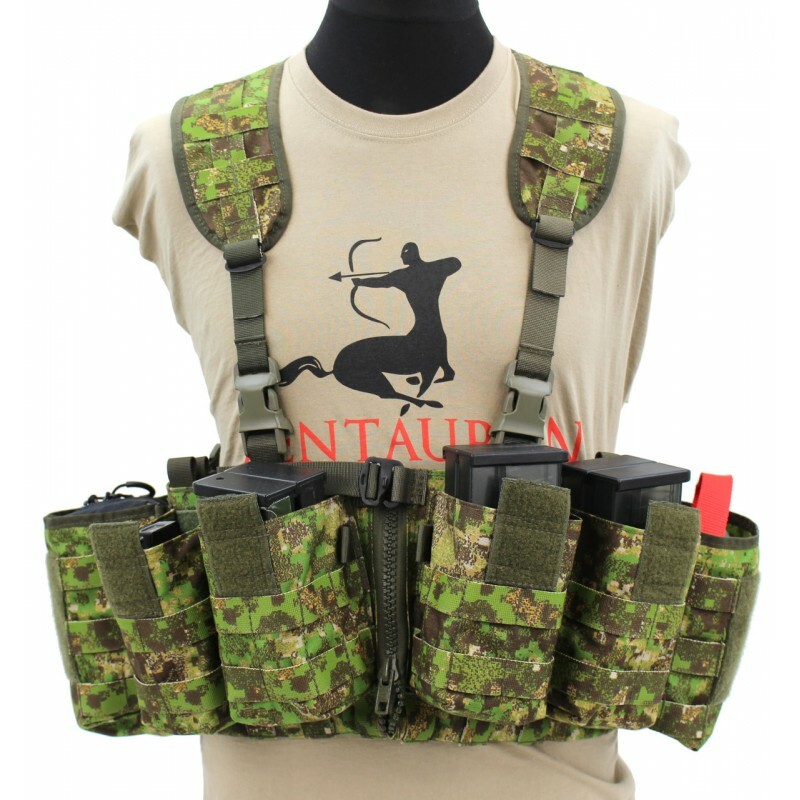 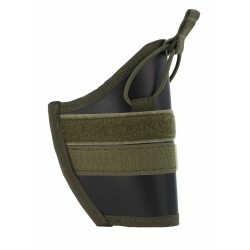 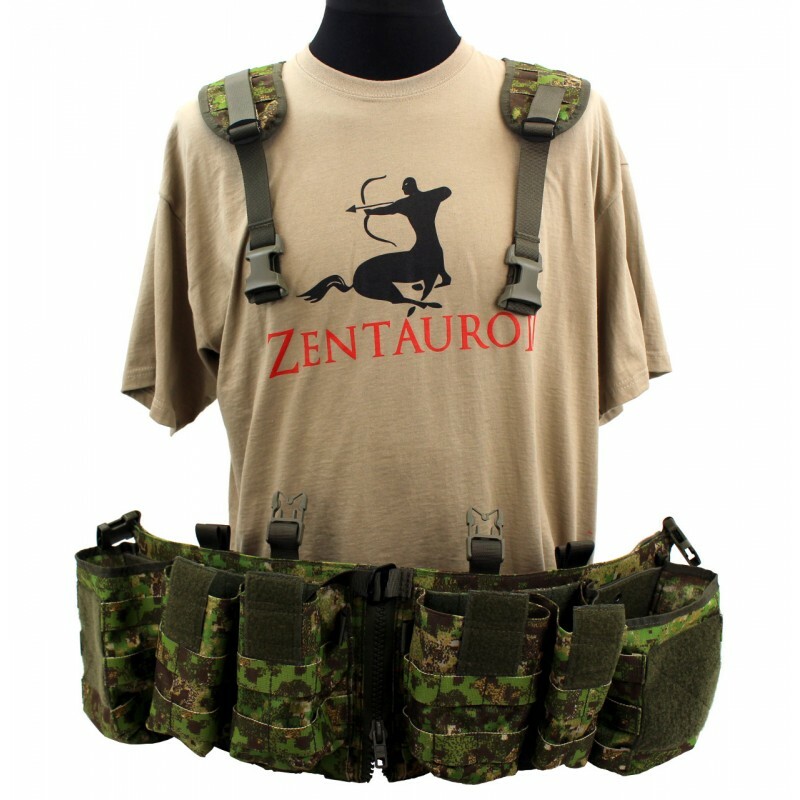 This Chest Rig, specifically adapted for use with backpacks, was tested by soldiers and rated as optimal. 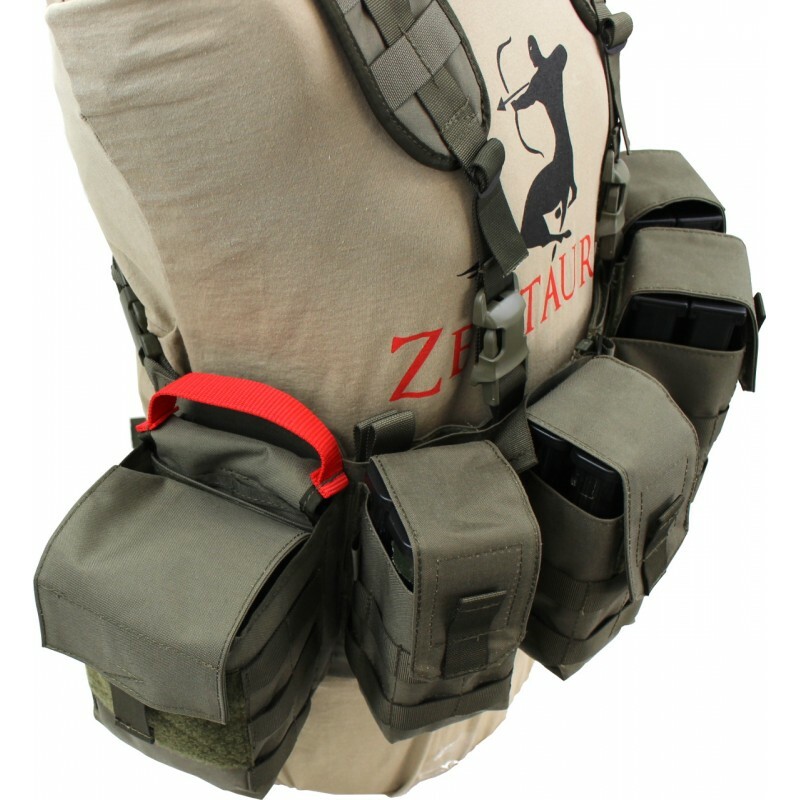 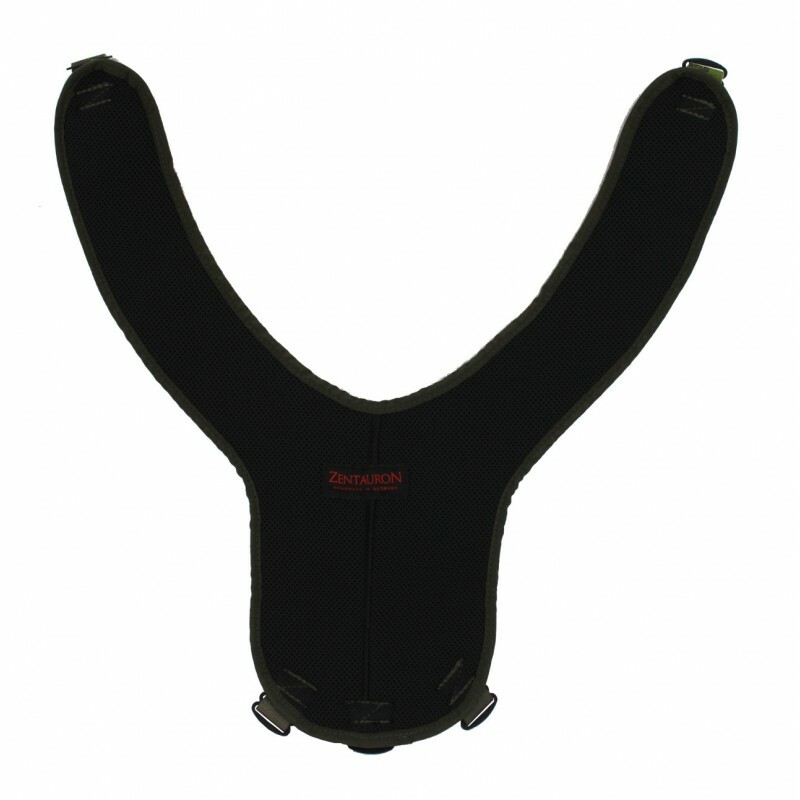 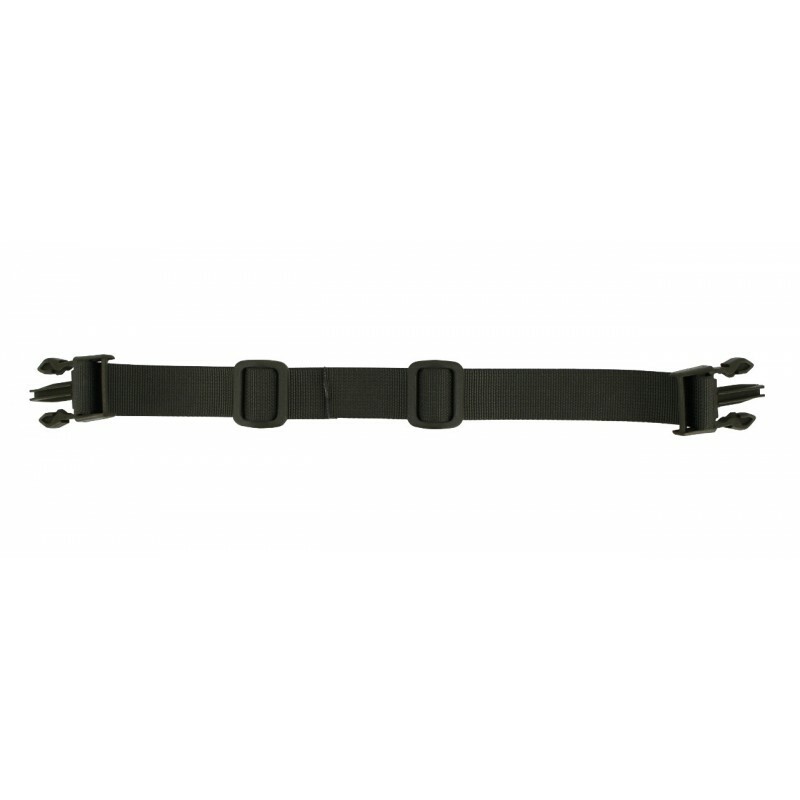 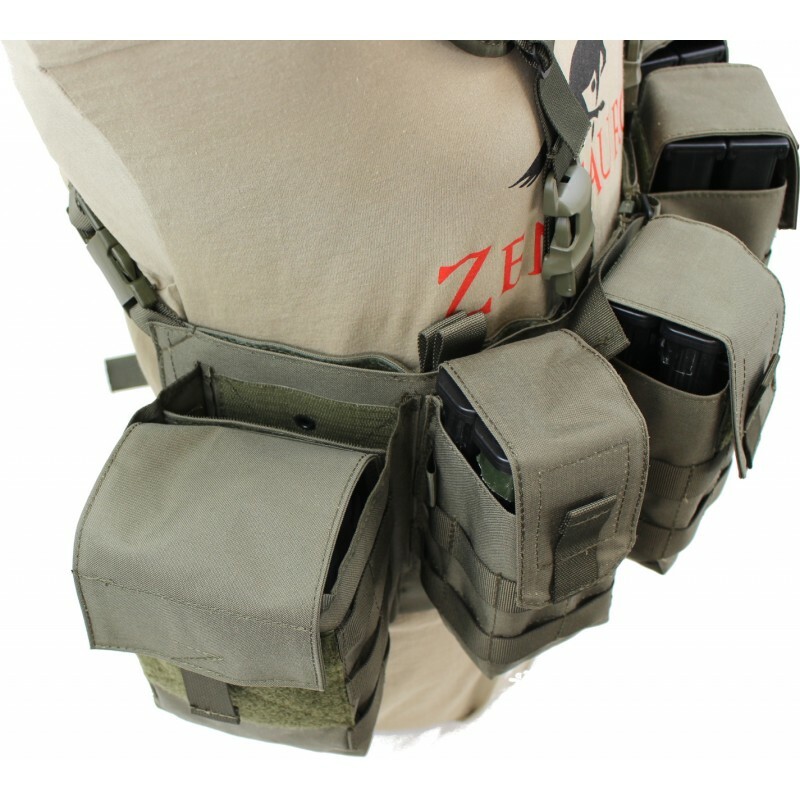 A big opened middle-Zipper devides the Chest Rig. 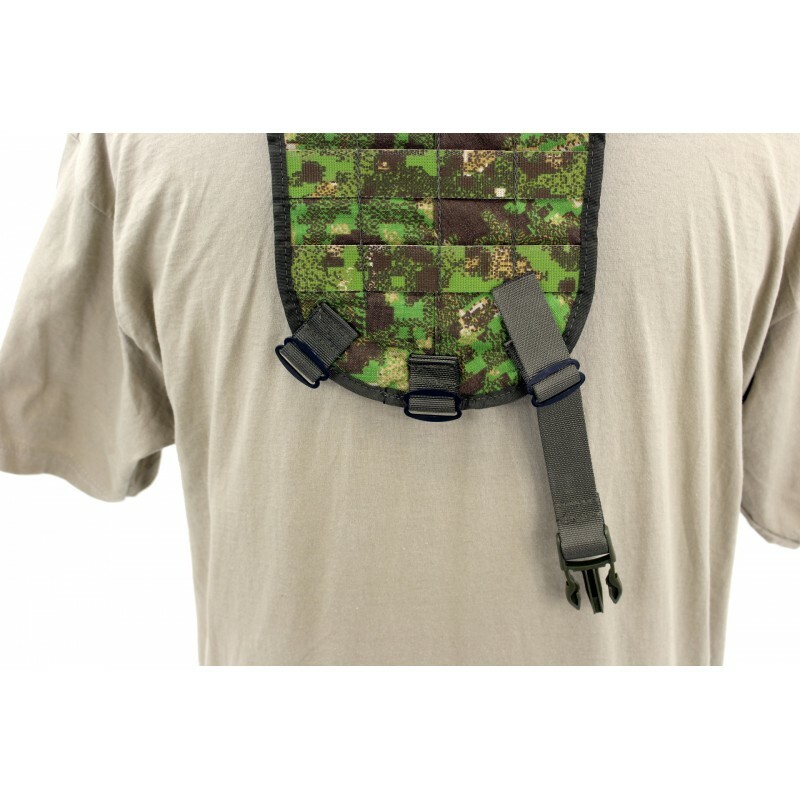 You can connect and secure the both Chest Rig parts with a G-hook. 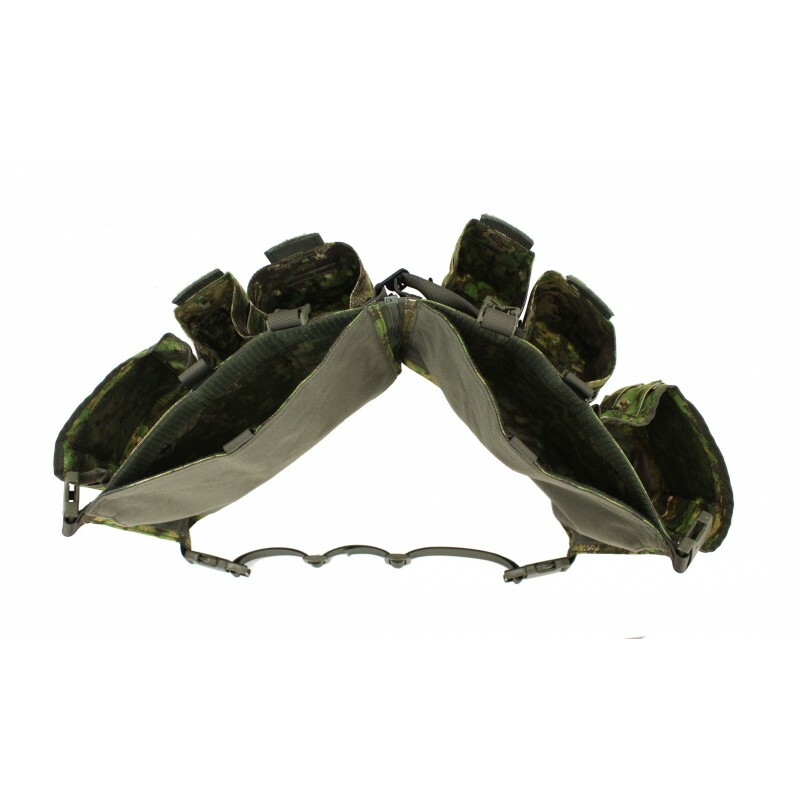 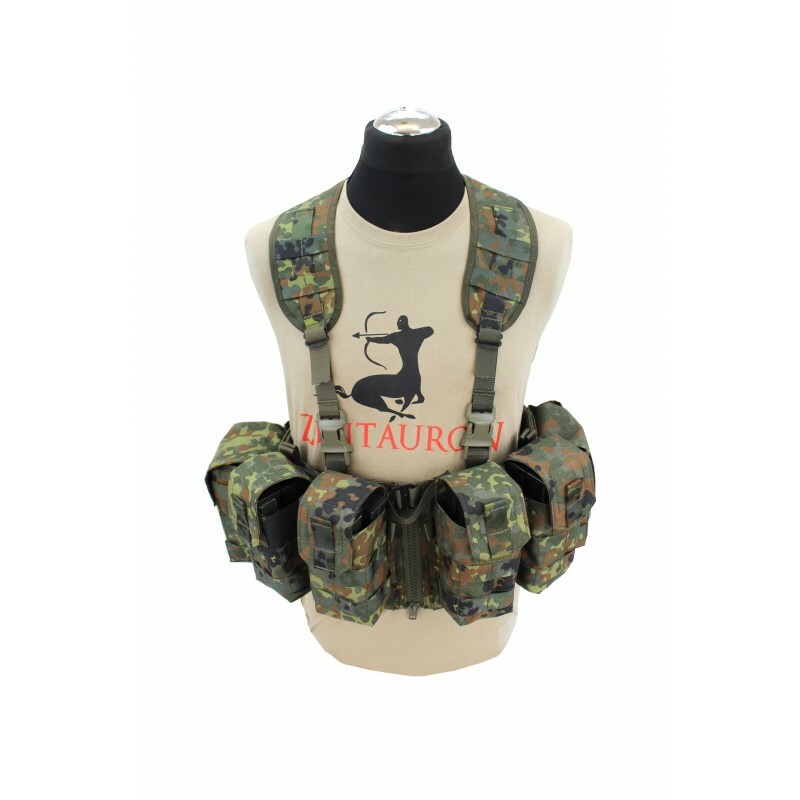 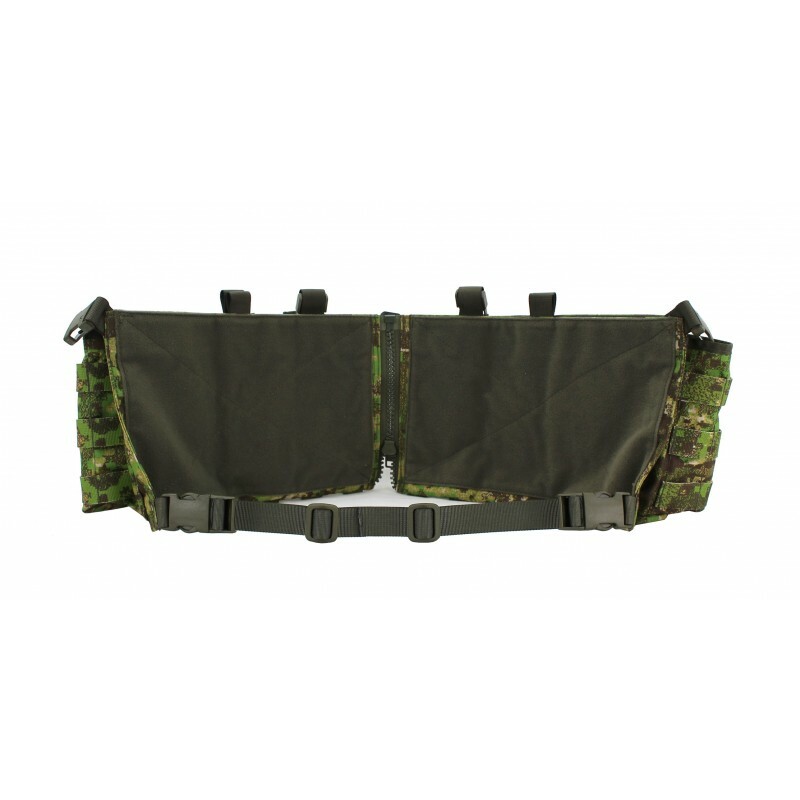 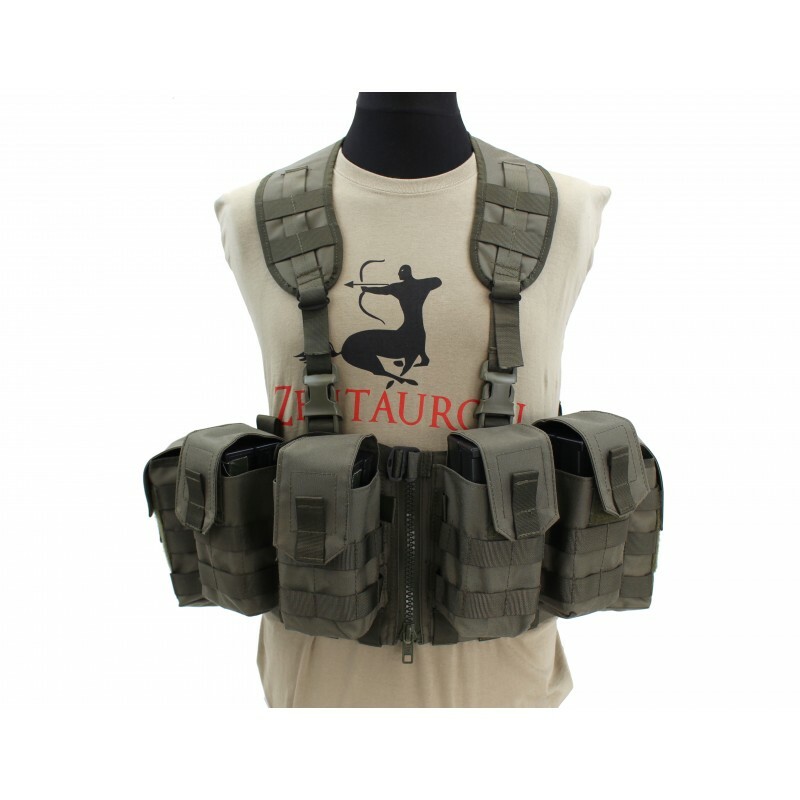 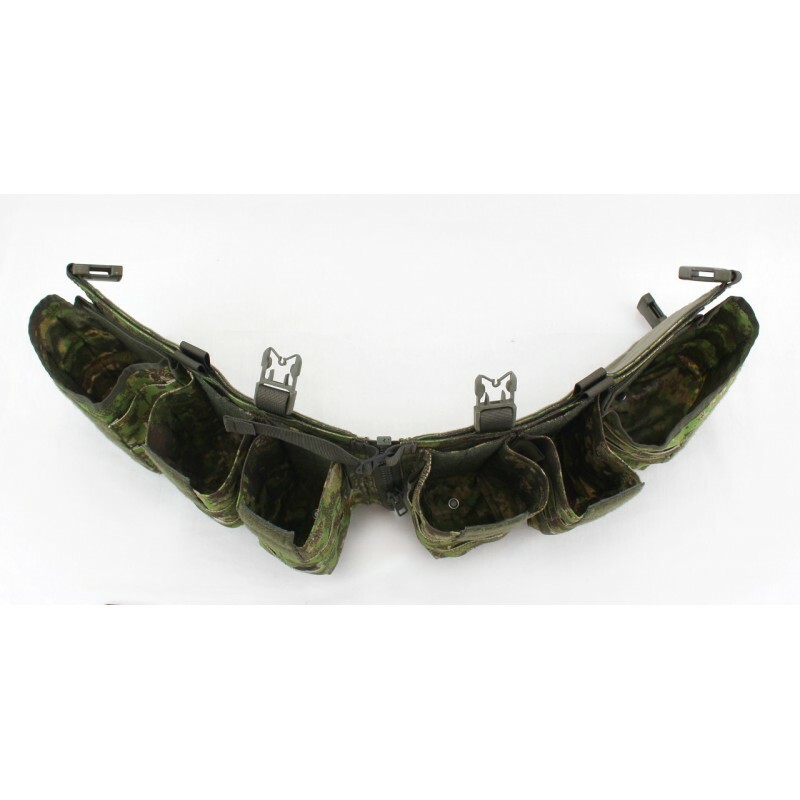 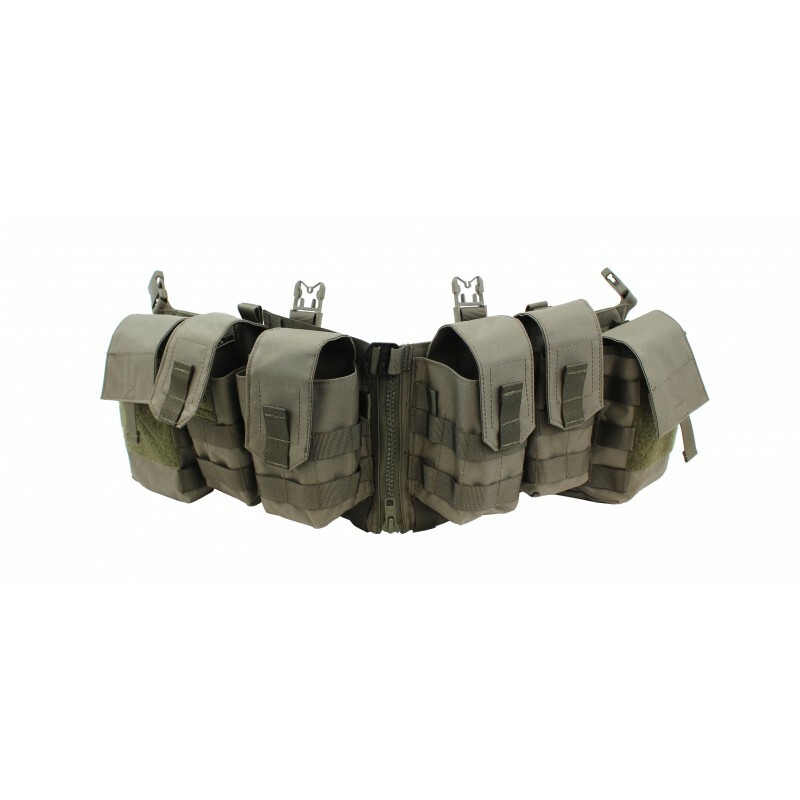 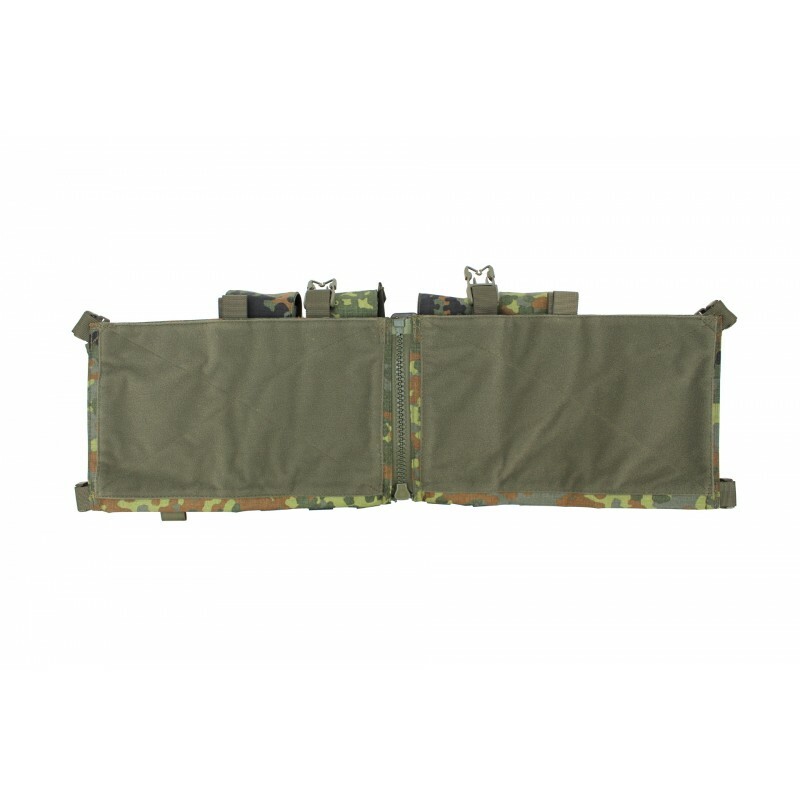 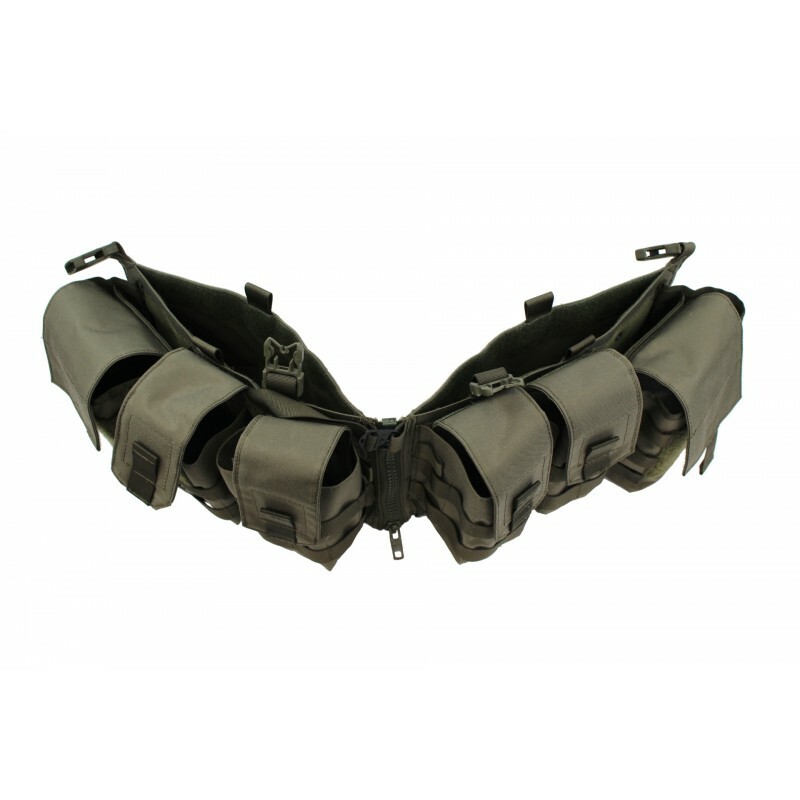 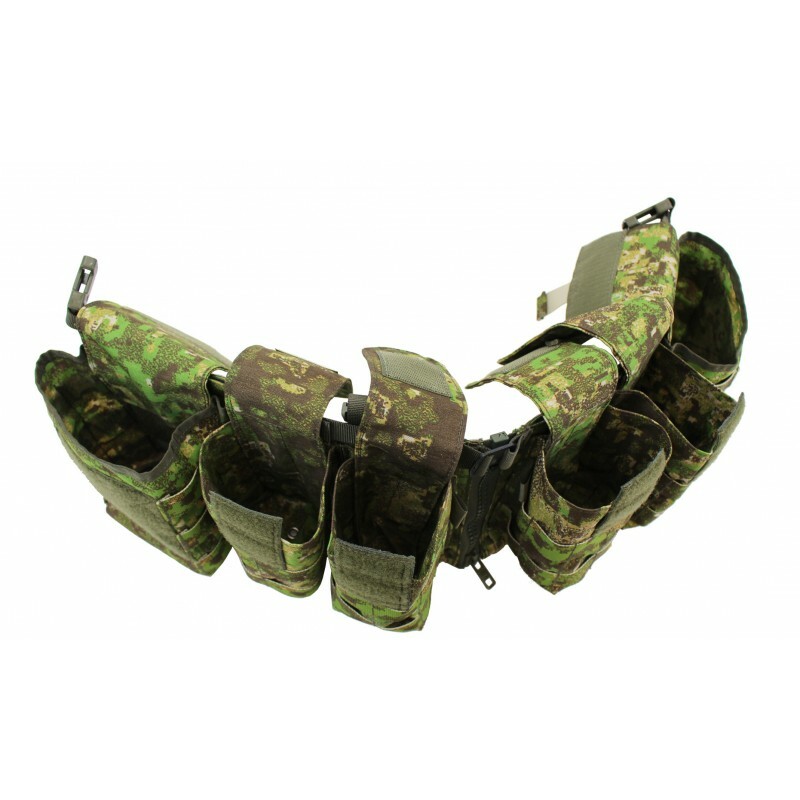 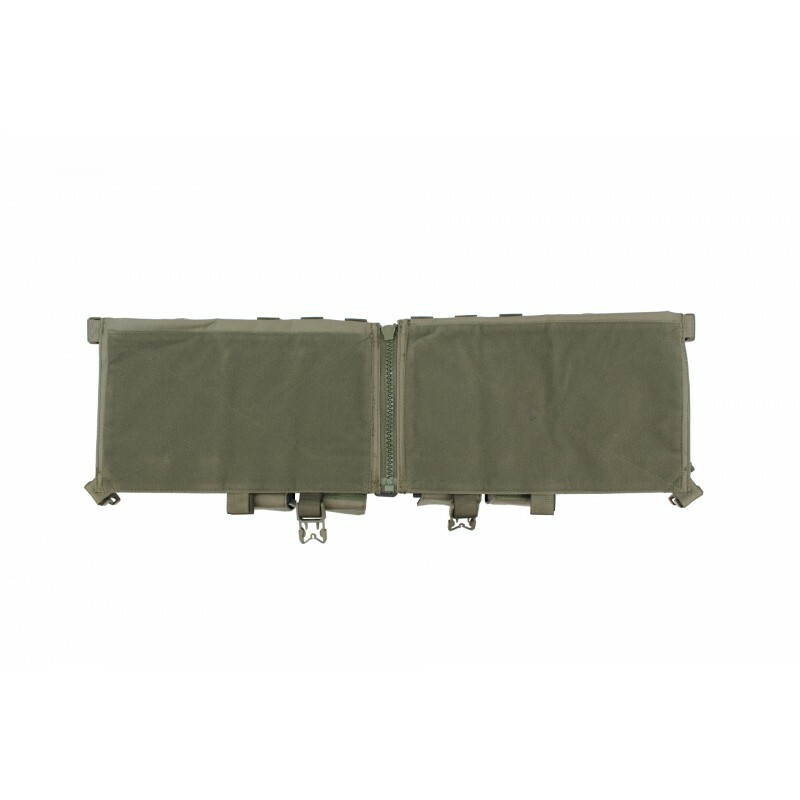 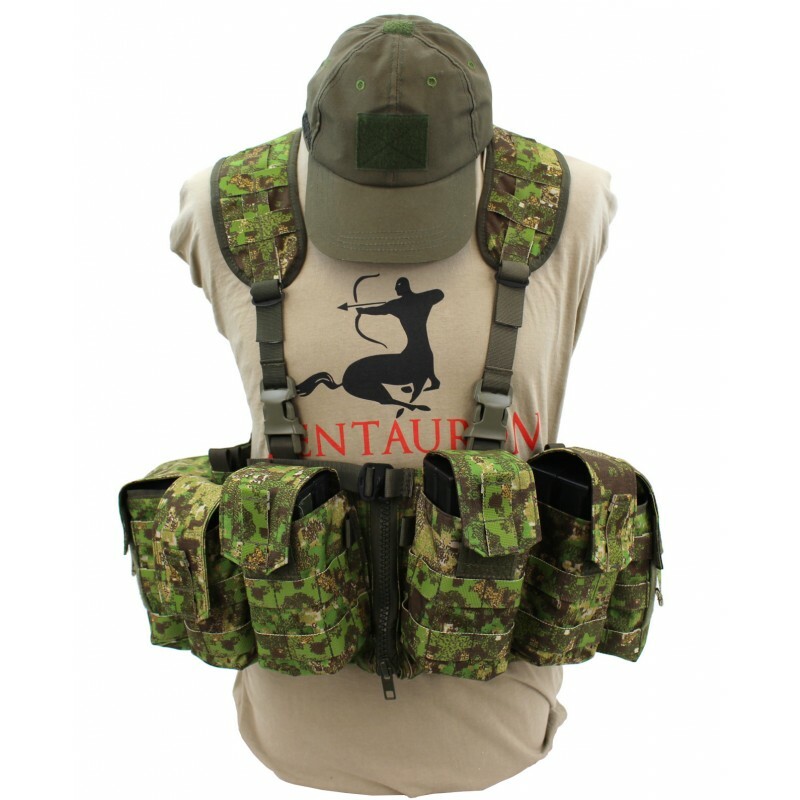 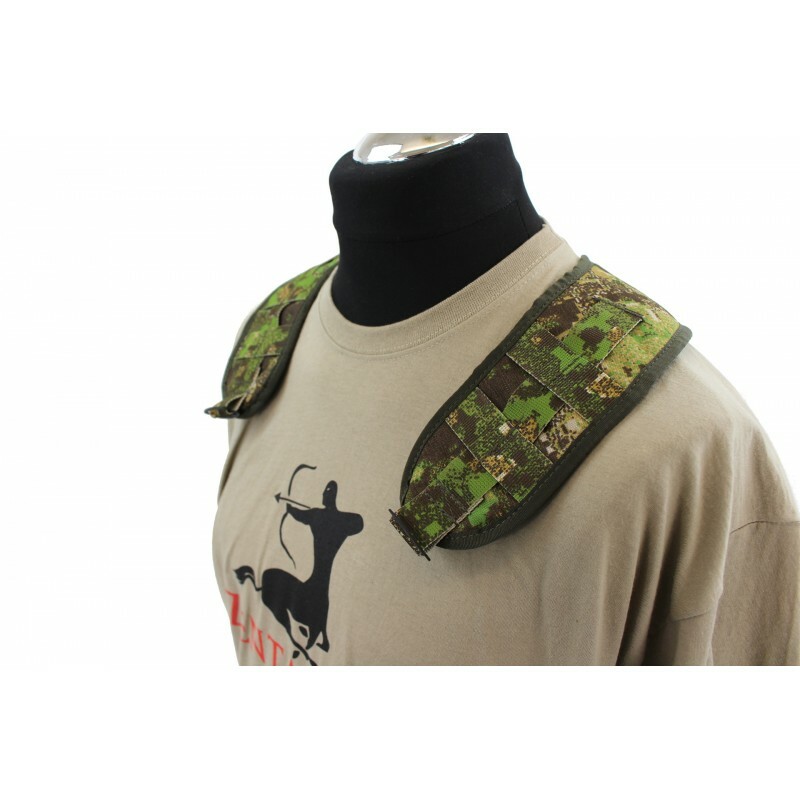 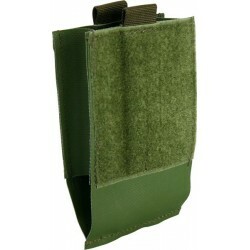 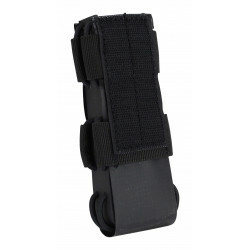 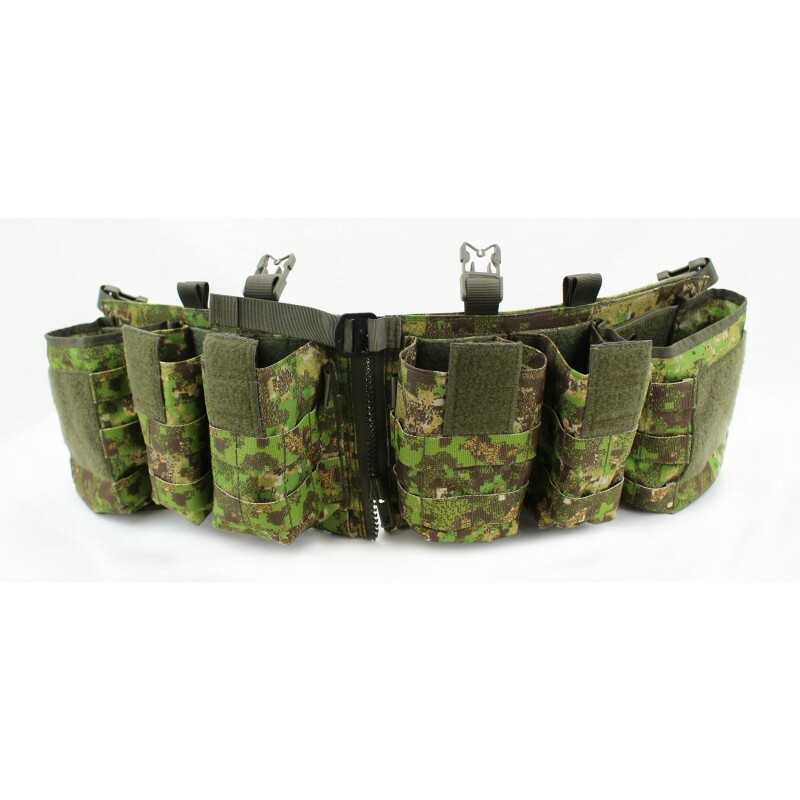 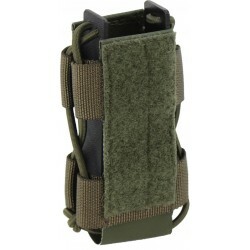 Four double magazine pouches with elastic band and adjustable and detachable velcro-flap have outside in front and at the sides Molle-loops. 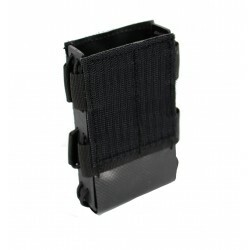 Behind all double magazine pouches you can find a slot for knives, glow sticks or similar things. 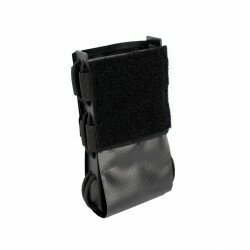 The slot is closed inside with fleece-velcro, this makes it possible, to insert here a velcro magazine pouch too. 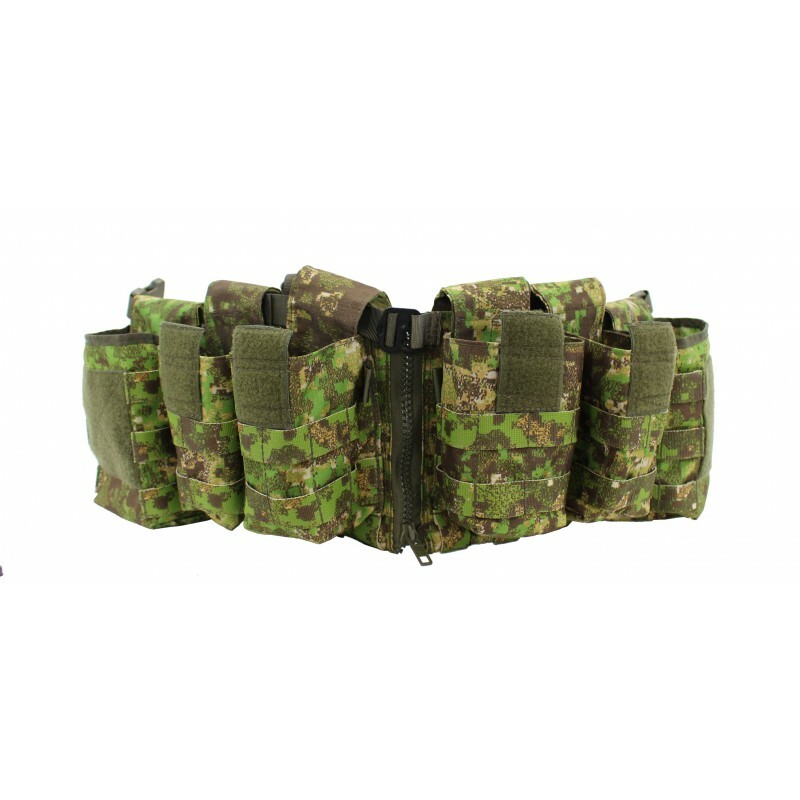 In the big GP pouches on both sides you can store things in the size of a drinking bottle, here is the flap adjustable and detachable too. 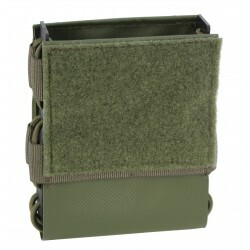 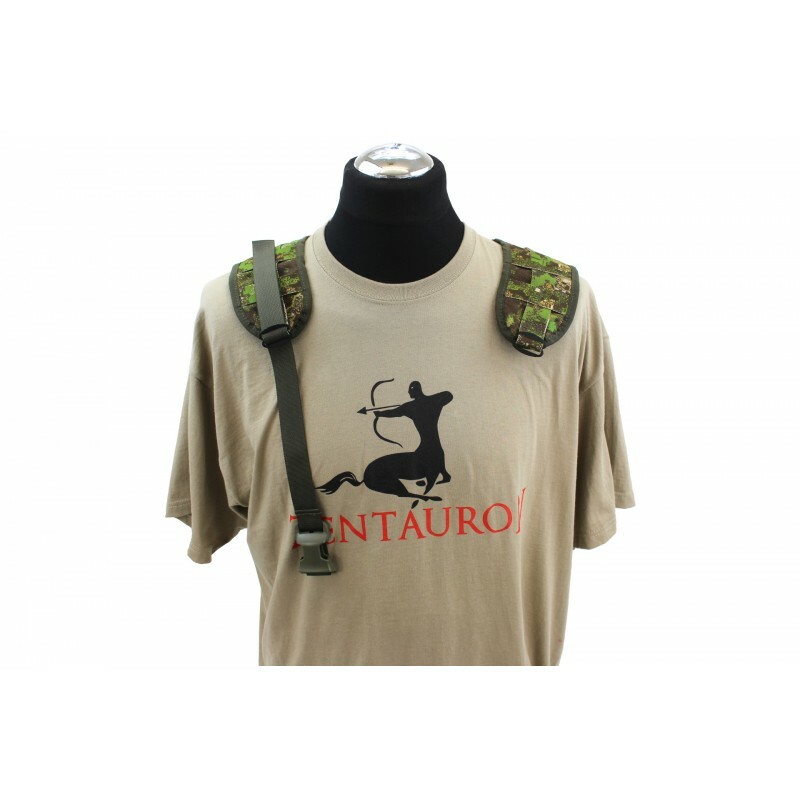 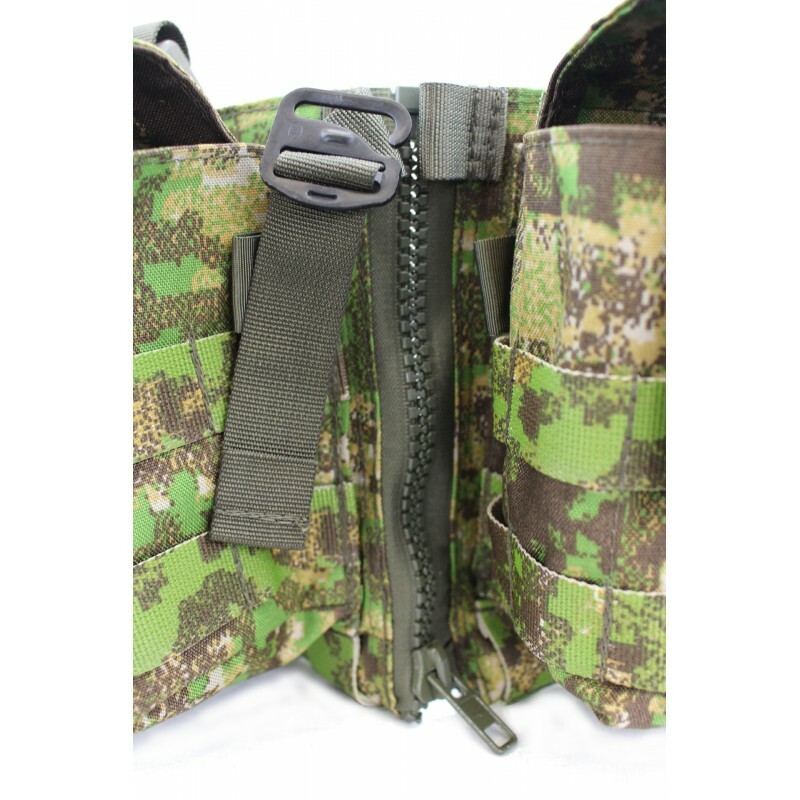 Behind the pouch is a multislot, for example for additional velcro magazine pouches or military maps. 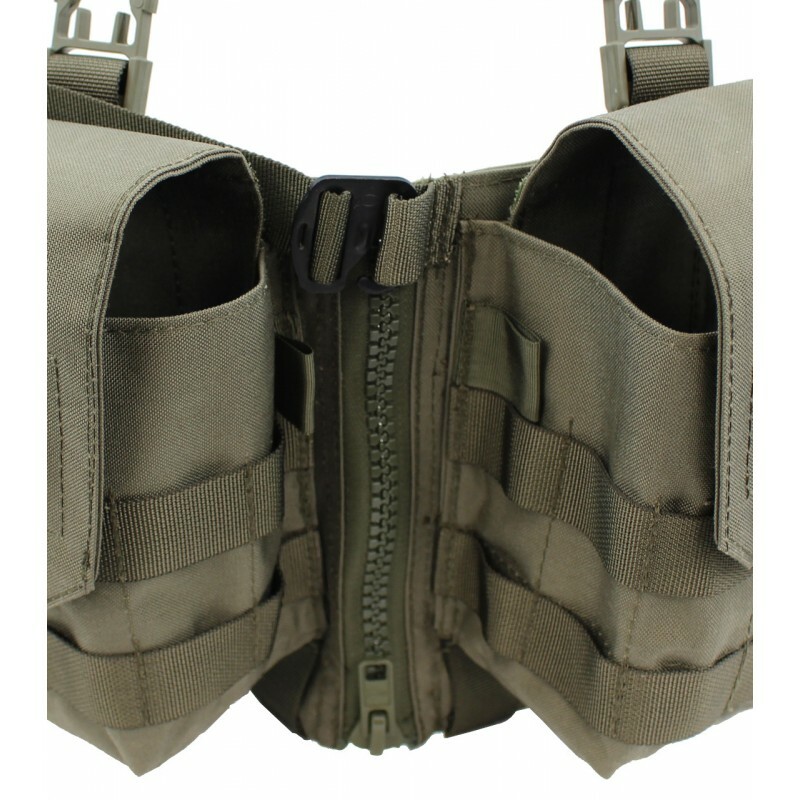 Behind the Chest Rig body you can find on each side a big insert. 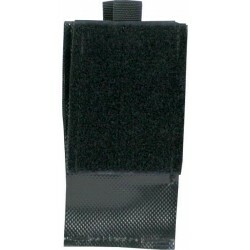 This additional insert can be closed with a velcro band completely. 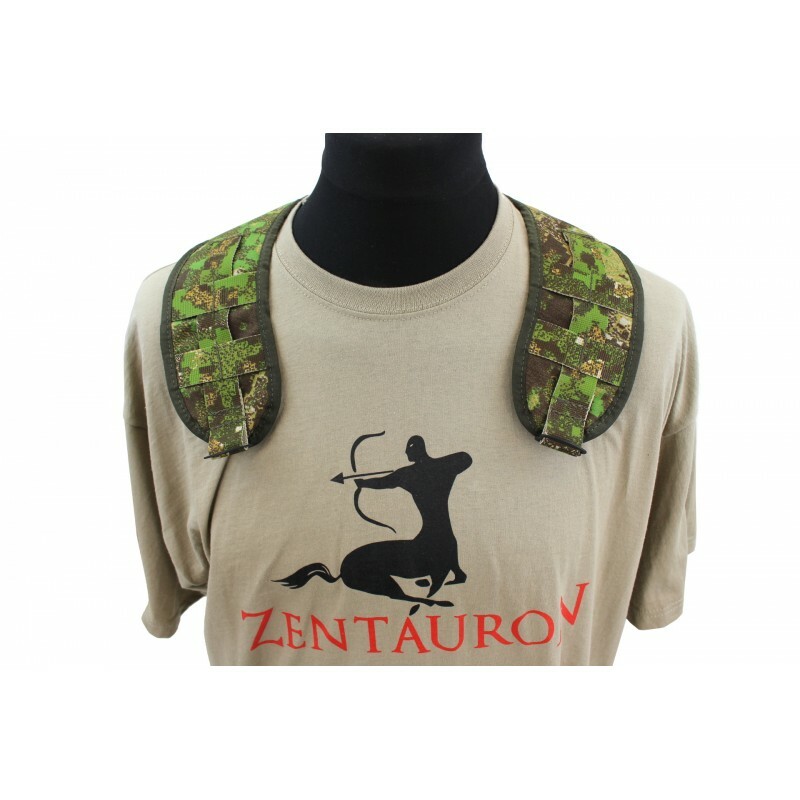 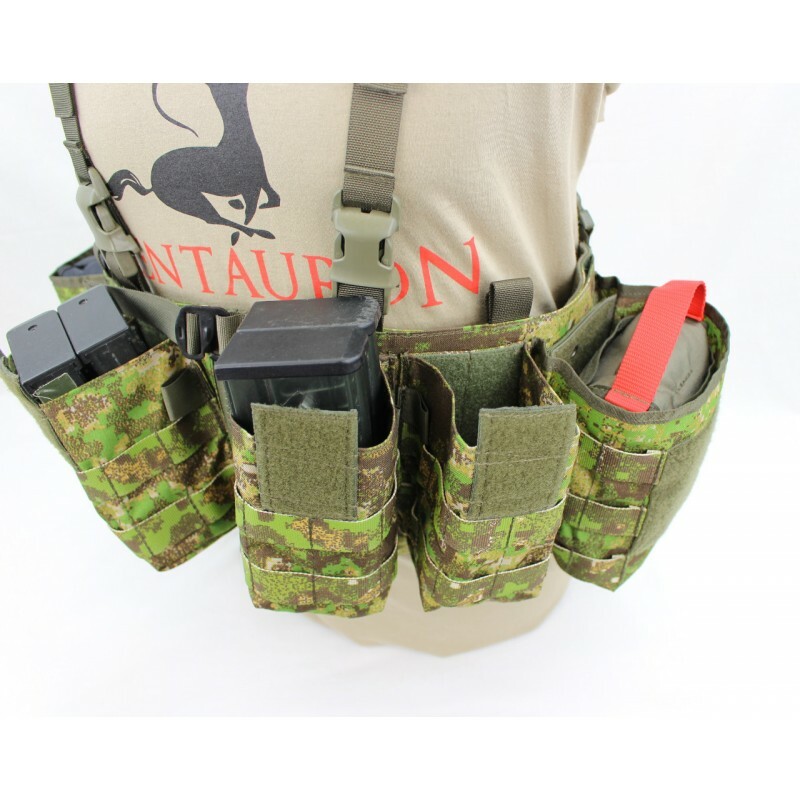 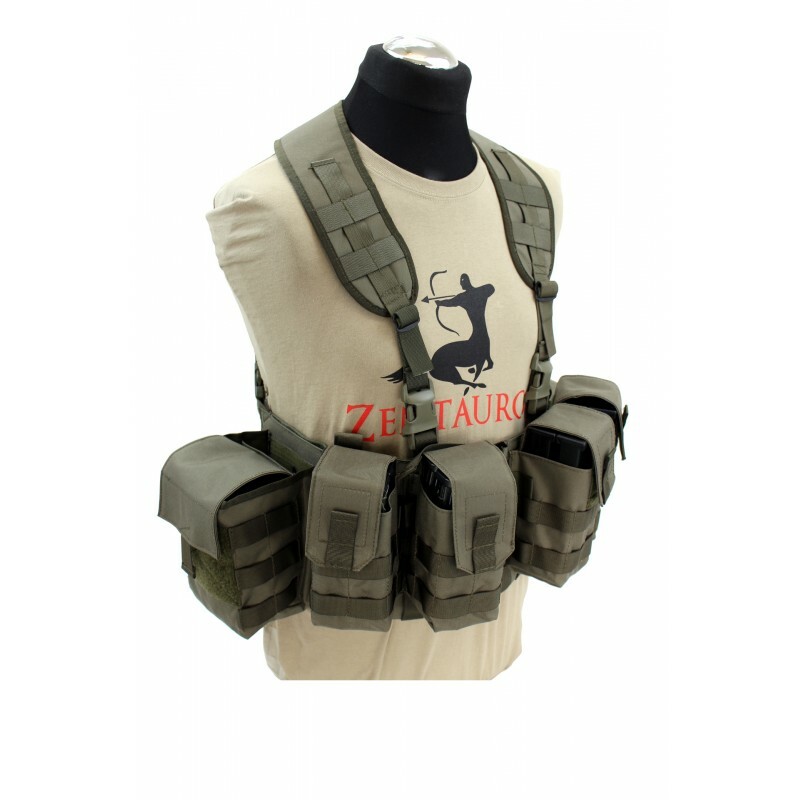 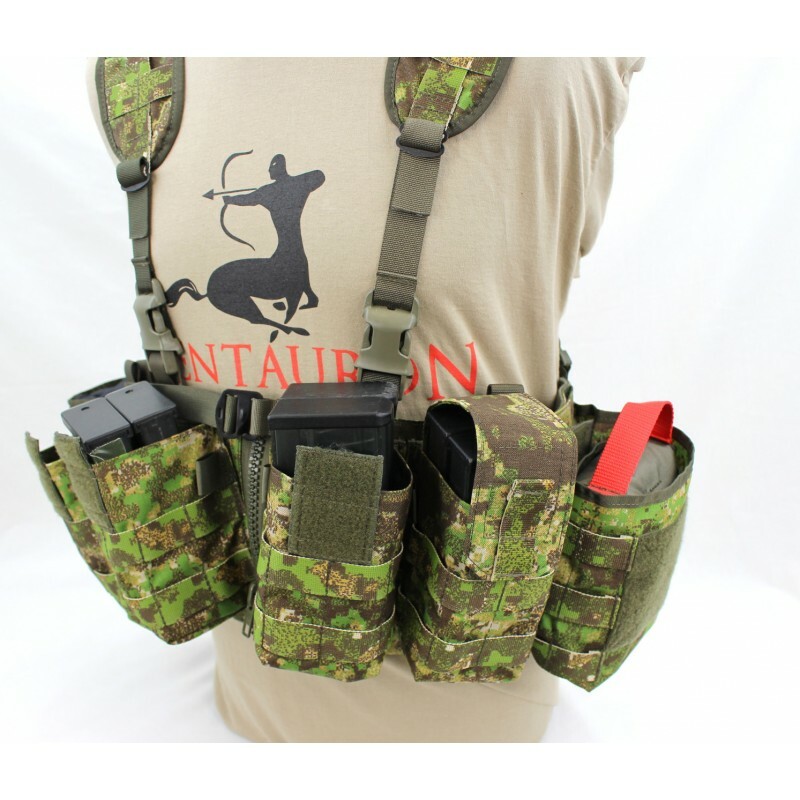 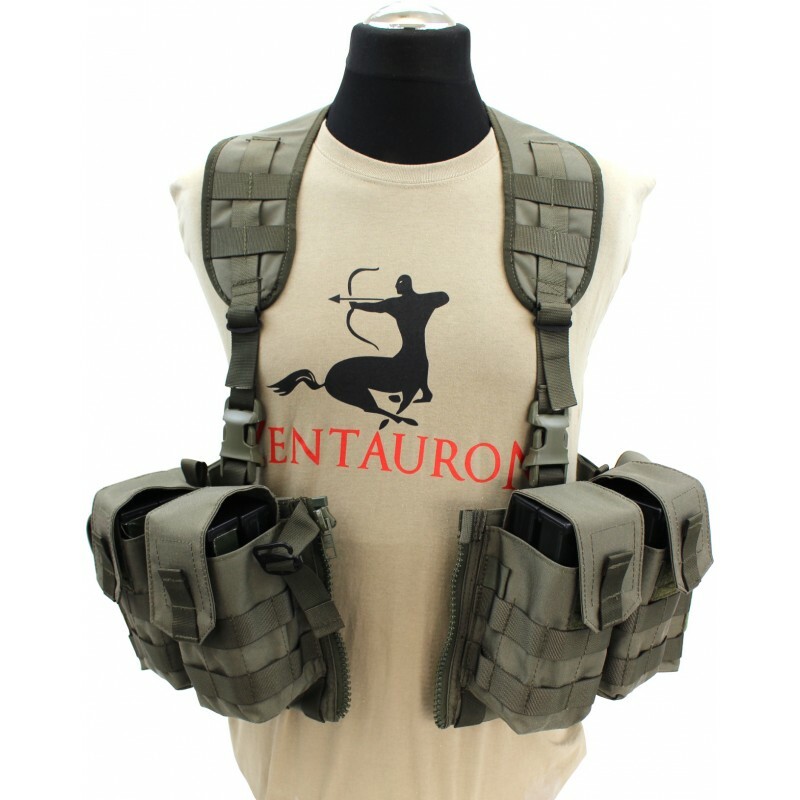 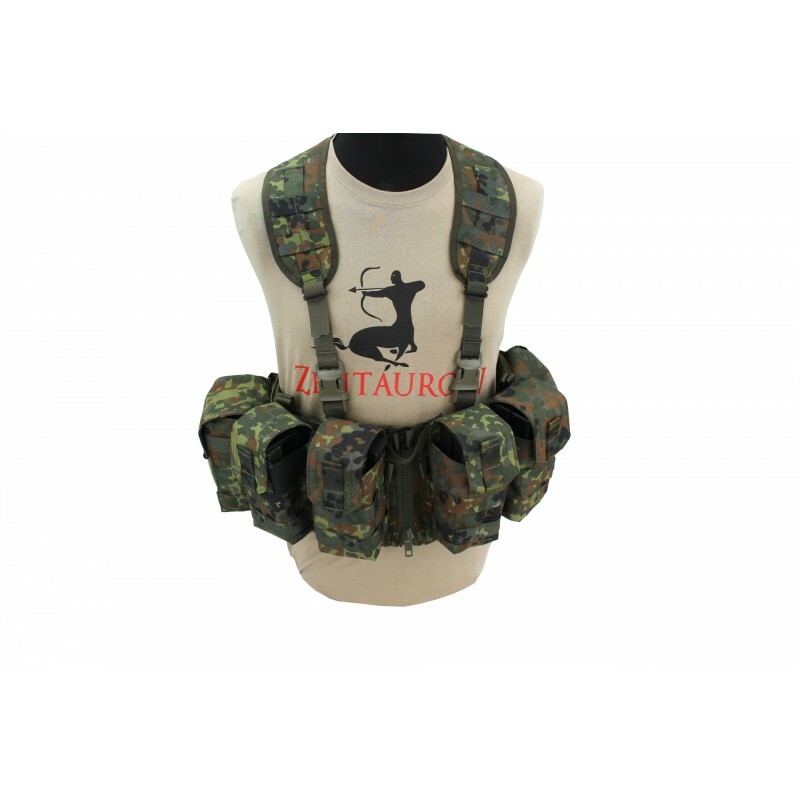 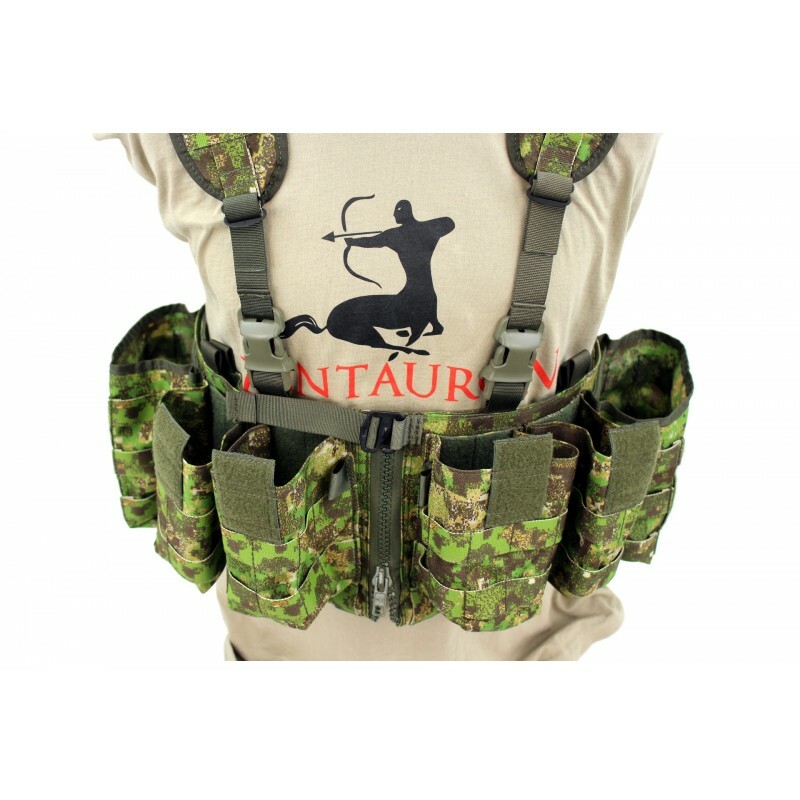 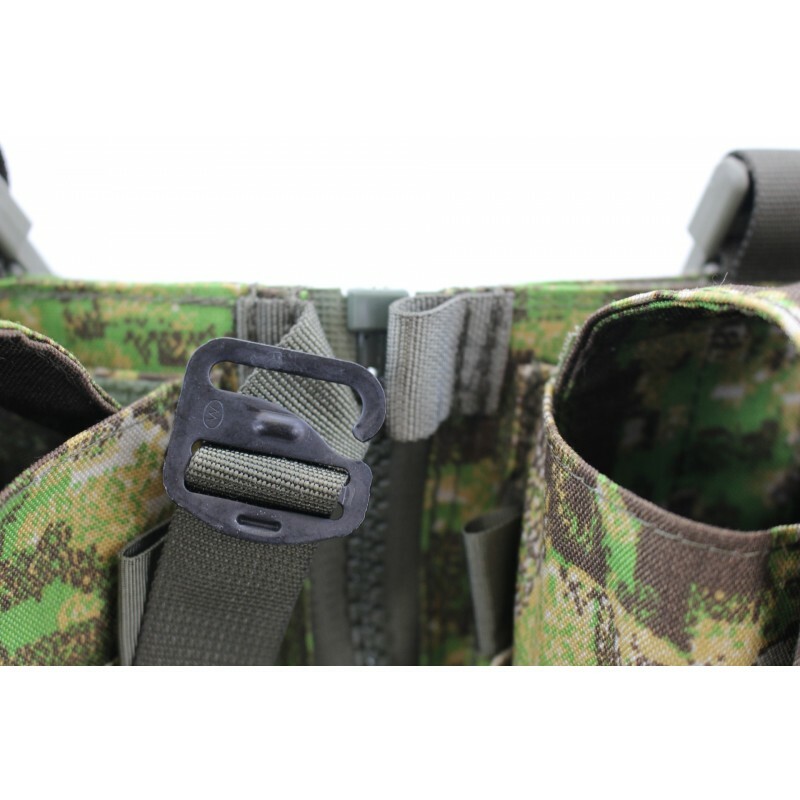 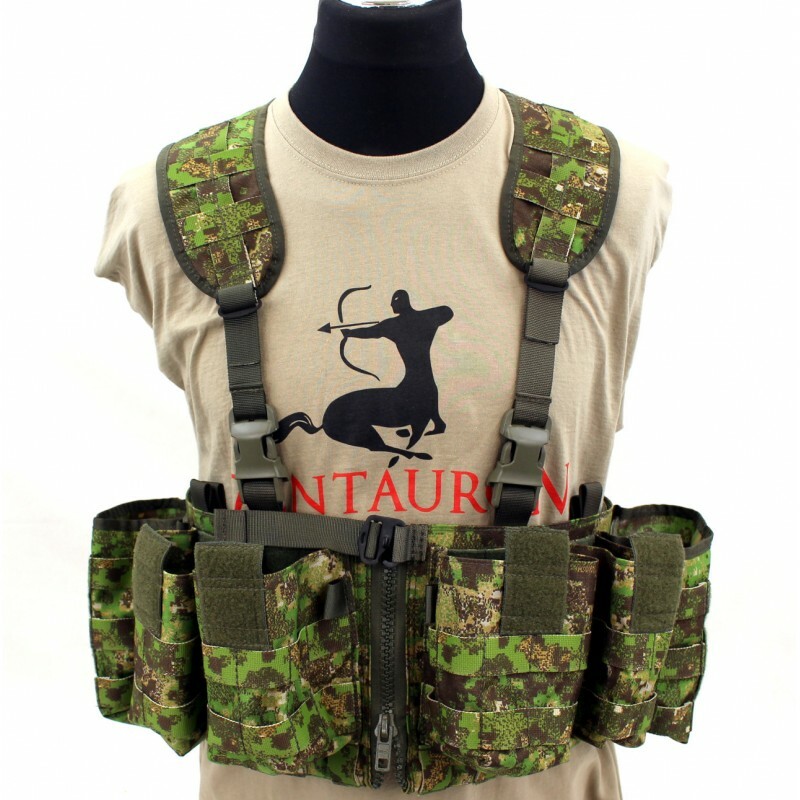 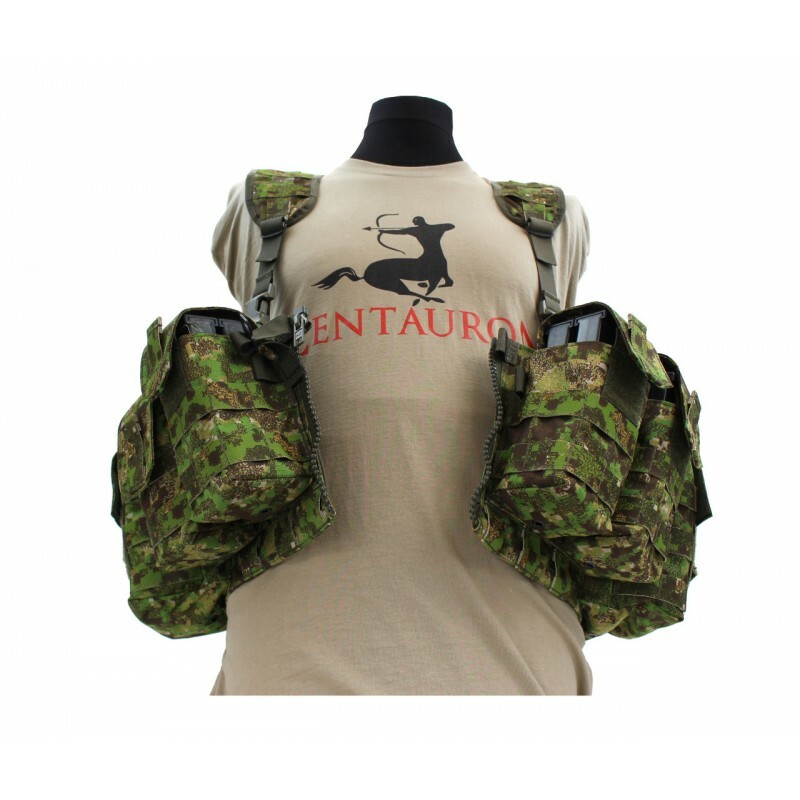 Opened it offers additional space, for example for a radio device or as special highlight space for the complete range of Zentauron velcro magazine pouches or the velcro pistol pouch. 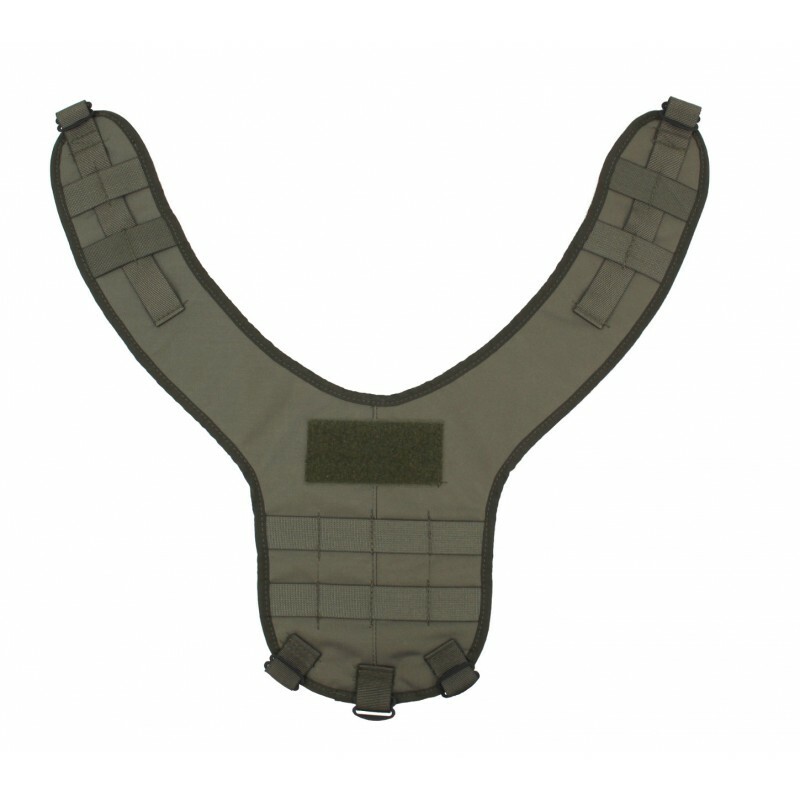 Inside of the insert is sewn a loop, with which the content can be quickly and easily secured using our security kits. 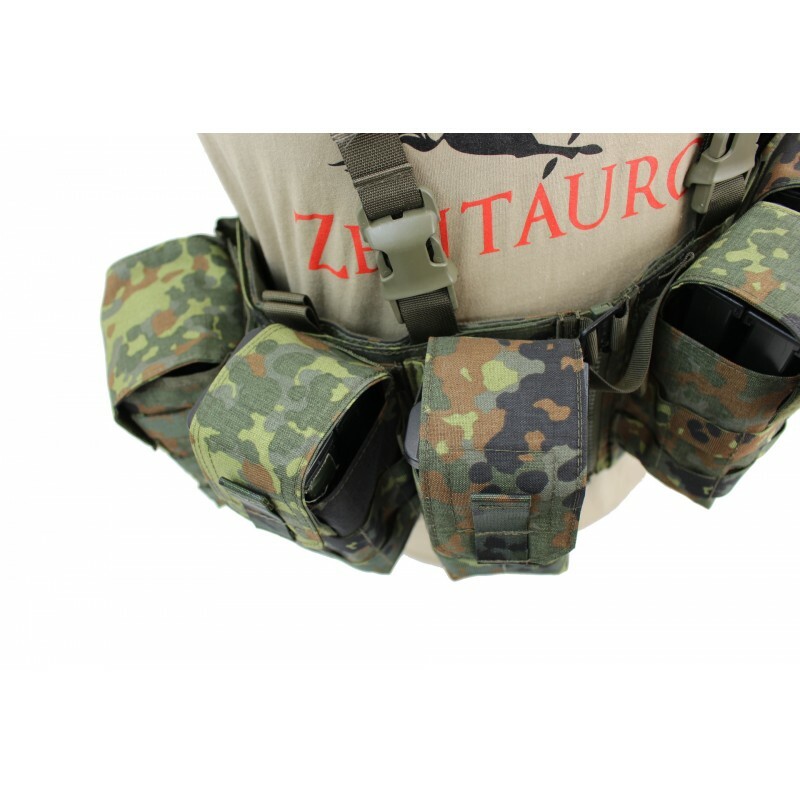 ...genau wie sein Bruder das Zeus-Rig ist dieses Chestrig wieder ein Schritt zu den bewährten Wurzeln. 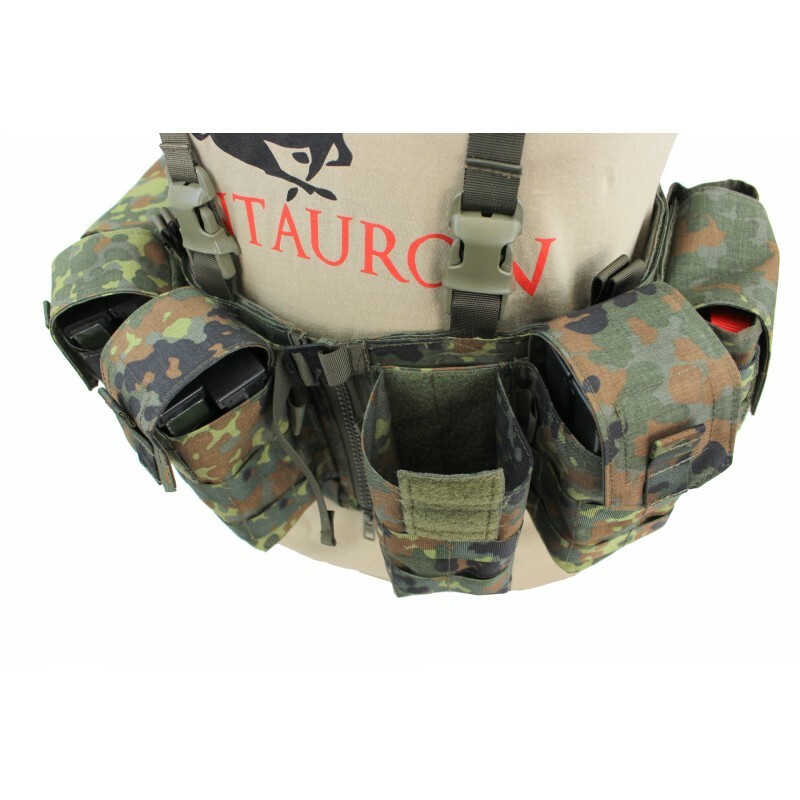 Genug Stauraum für die Kampfbeladung und das PALS-Gewebe plus die Multislot-Taschen lassen Raum für flexible Anpassung.